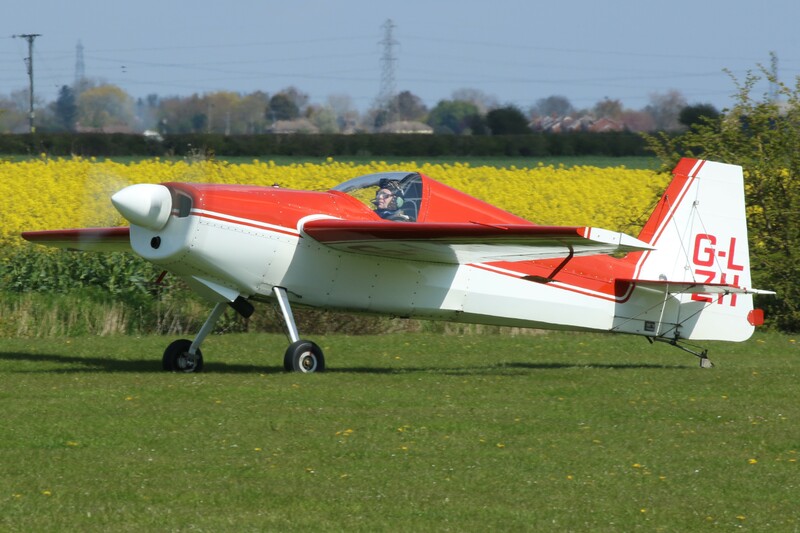 With the weather looking good I took a visit to the Daffodil Fly – in at Fenland Airfield . 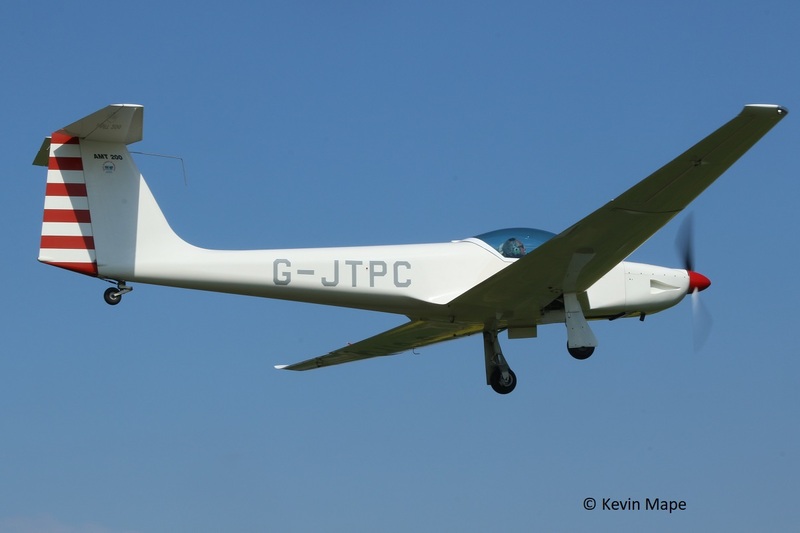 I arrived about 9- 00am to find a cross wind so the runway in use would be 08, A welcome Coffee and a Bacon roll from the Café and a chat to fellow enthusiasts about upcoming events before moving on.. 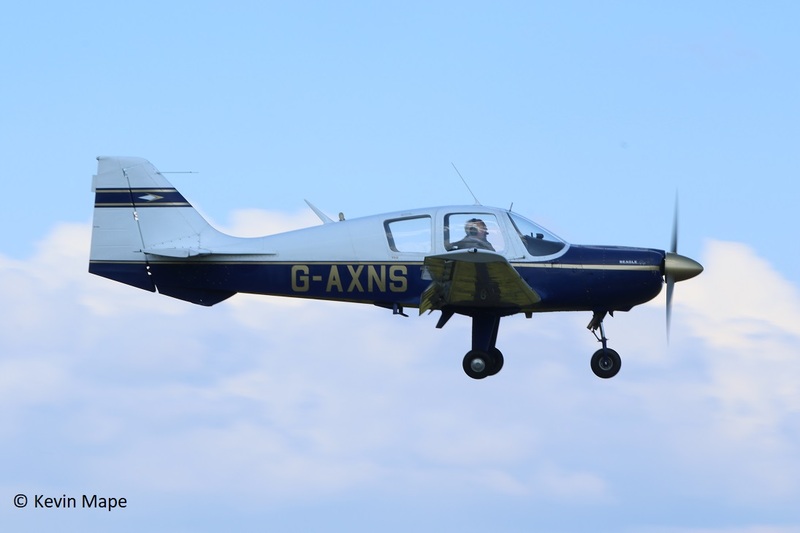 I moved off the Airfield and parked at the threshold of runway 08 with a few like wise people to take pictures of the movements, After a slow start it picked up with around 90 movements until I departed at 1-30pm. 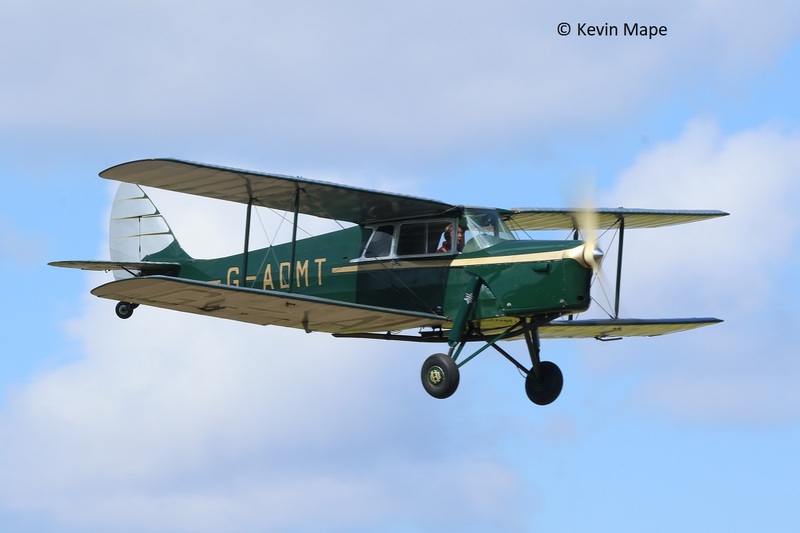 I have posted a pictorial log taken from the pictures I have taken on the day. 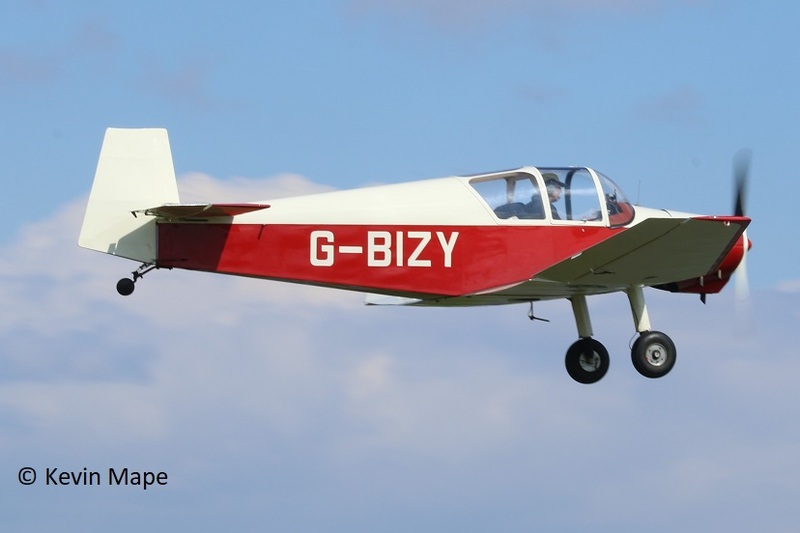 1/G-APIE : Tipsy Belfair – Built 1958 . 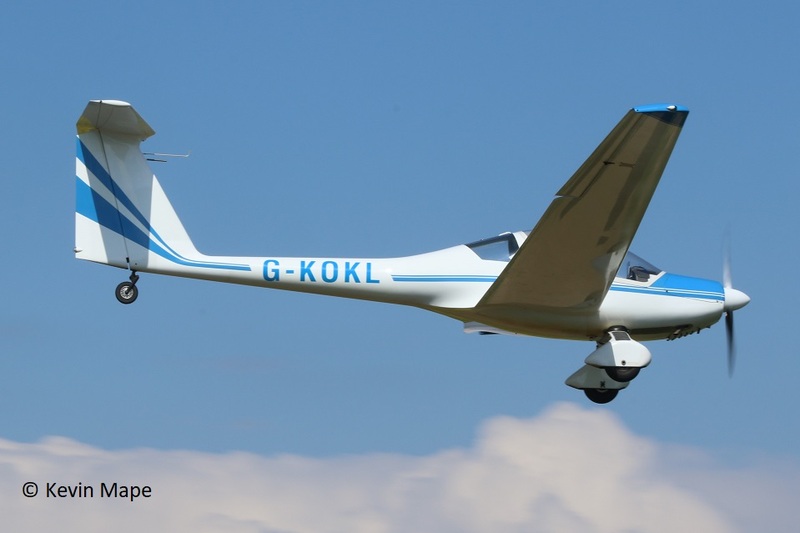 2/G-OSKI : EV-97 Eurostar – Built 2005. * – Based. 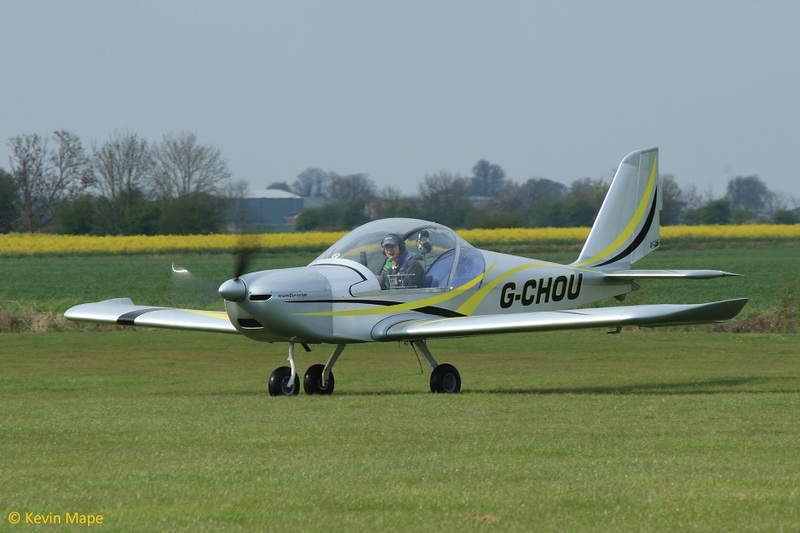 3/G-CHOU : EV-97 Teameurostar UK – Built 2012. 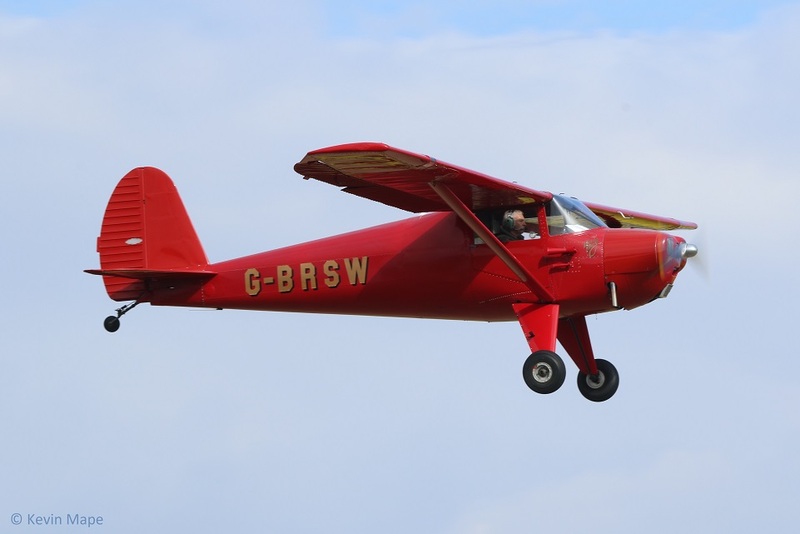 4/G-BRSW : Luscombe 8A (Modified) – Built 1946. 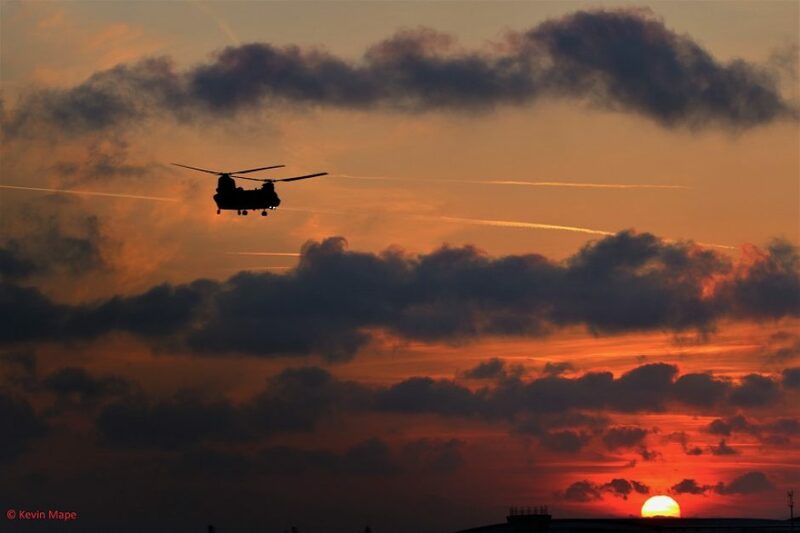 * – Based. 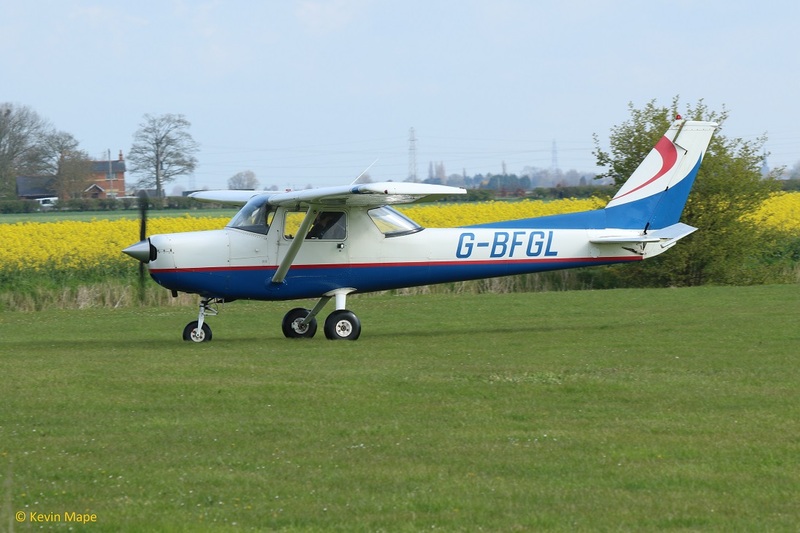 5/G-BFGL : Reims Cessna FA152 – Built 1977. * – Based. 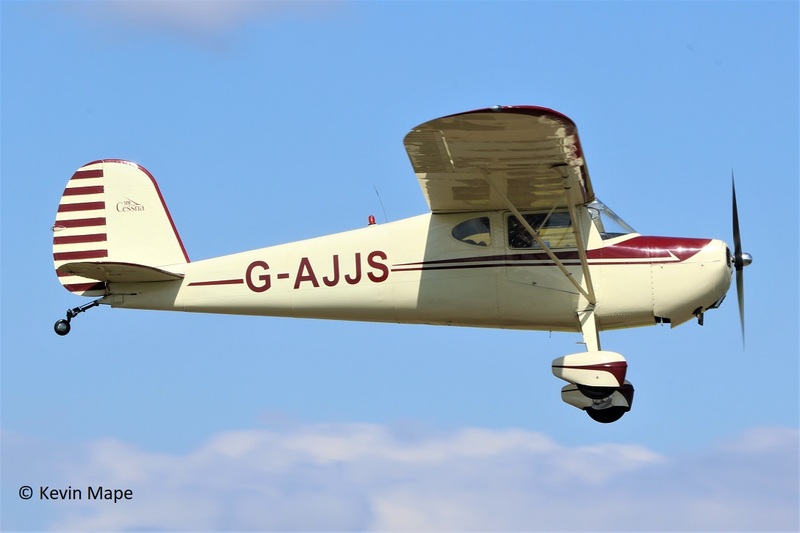 6/G-AJAM : Auster 5J2 Arrow – Built 1946. 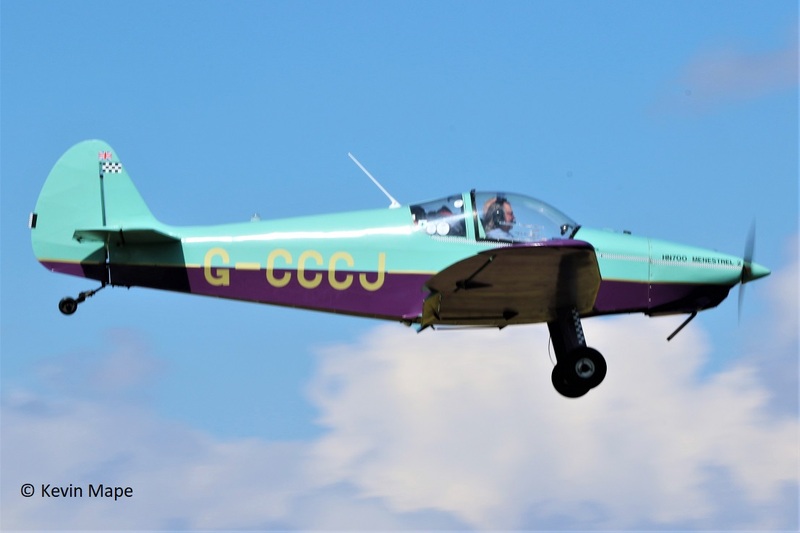 7/LY-CCP : Yak 18T – Built 1981. 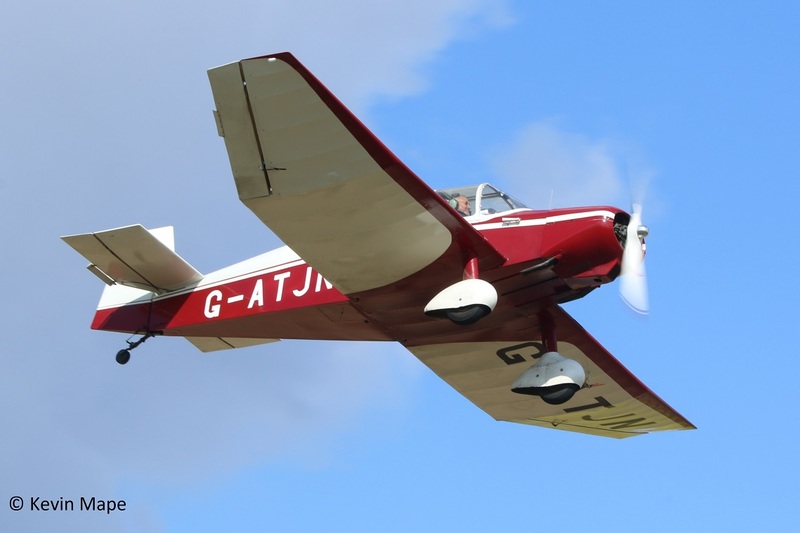 8/G-ATJN : Jodel D119 – Built 1958. 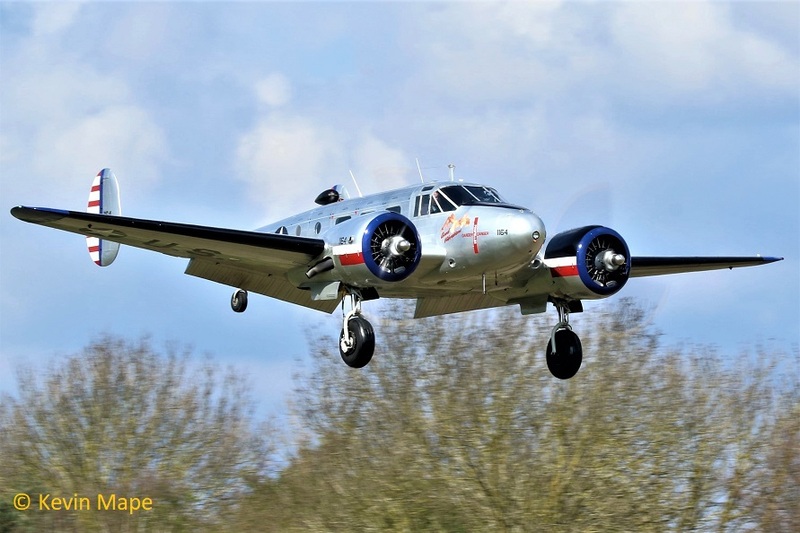 9/G-BKGL : Beech 3TM – Built 1951 – In USAAC markings as 1168 coded 68. 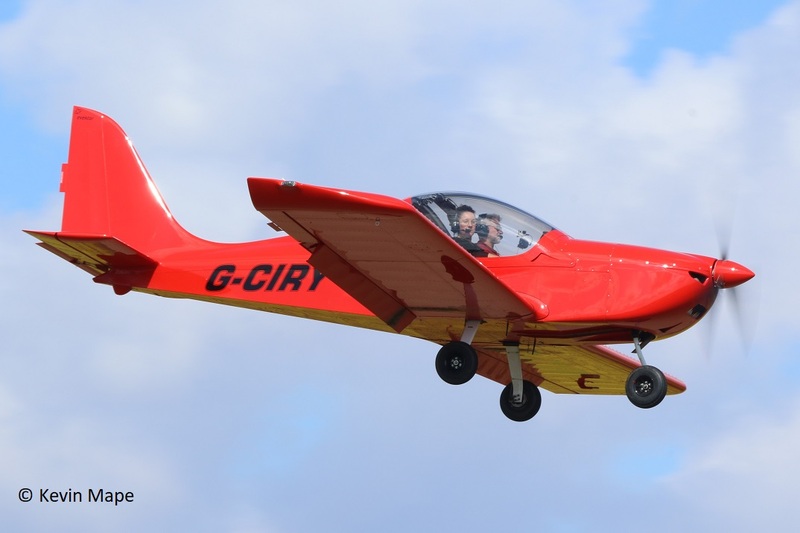 10/G-CIRE : Corby CJ-1 Starlet – Built 2015. 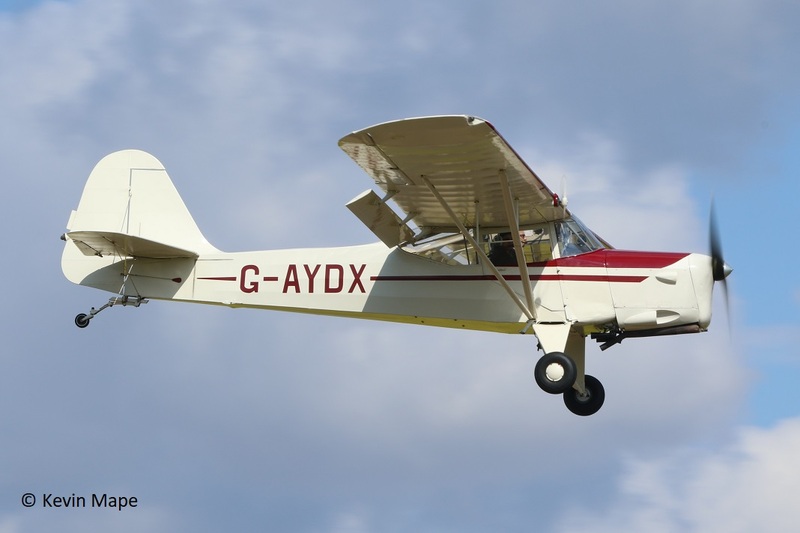 12/G-AYDX : Beagle A.61 Terrier 2 – Built 1968. 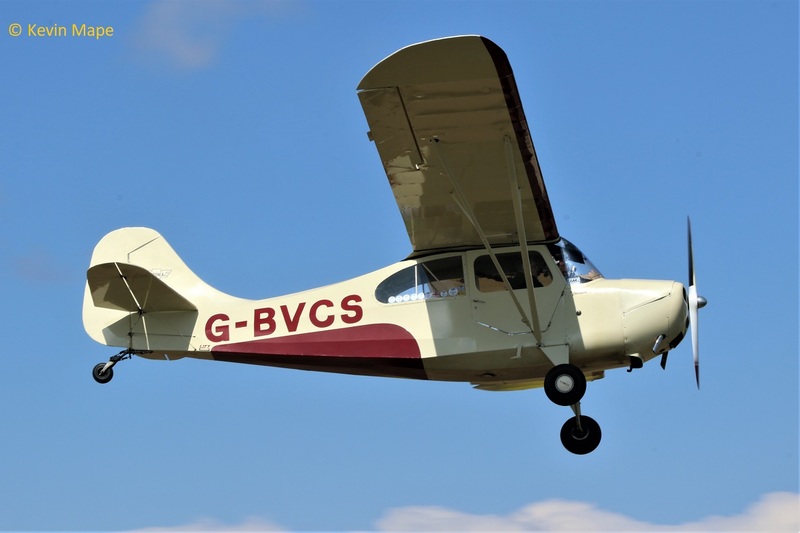 13/G-BUHZ : Cessna 120 – Built 1948. 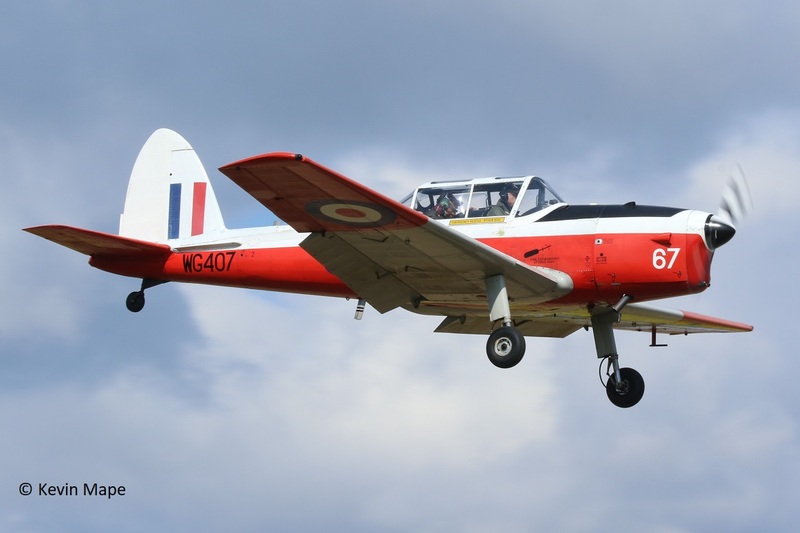 14/G-ARHZ : Druine D.62 Condor – Built 1961. 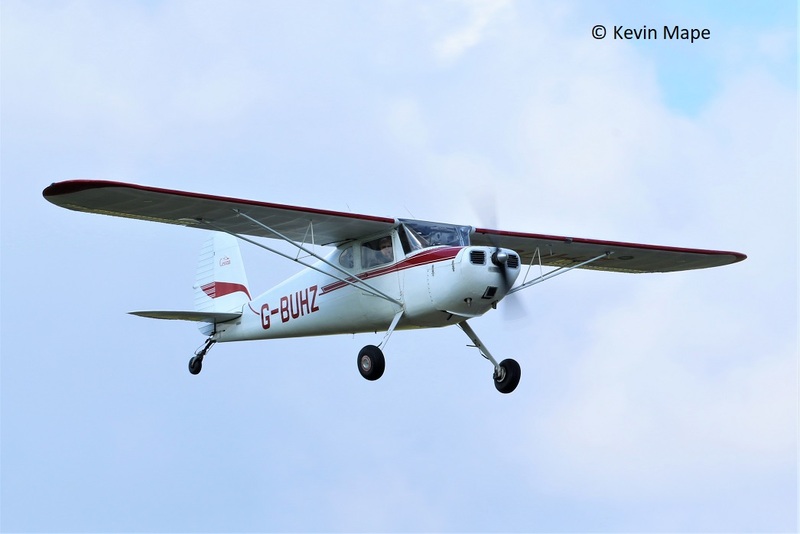 15/G-CJAK : Skyranger Nynja 912S(1) – Built 2016. 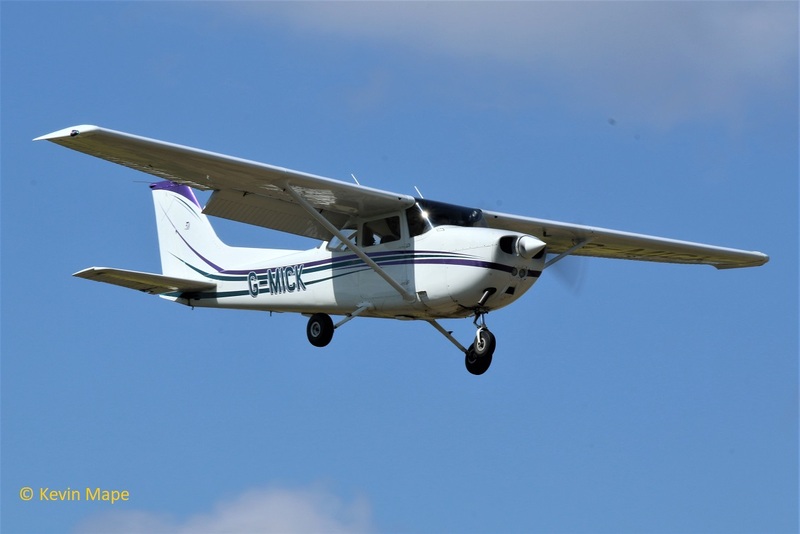 16/N278SA : Cessna 177RG Cardinal – Built 1974. 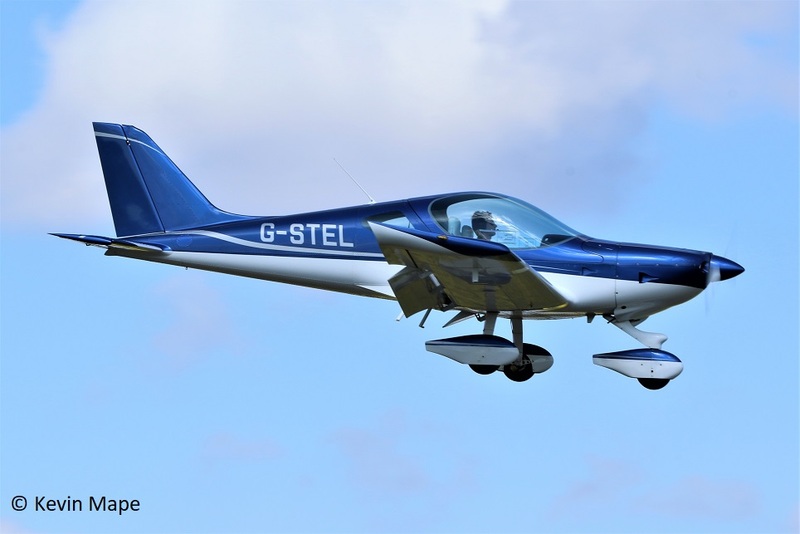 17/G-CIRY : EV-97 Eurostar SL – Built 2015. 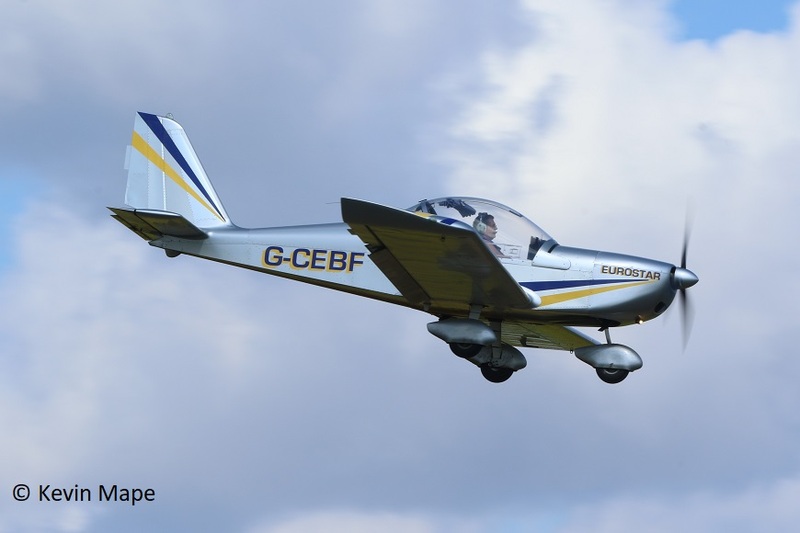 18/G-CEBF : EV-97A Eurostar – Built 2006. 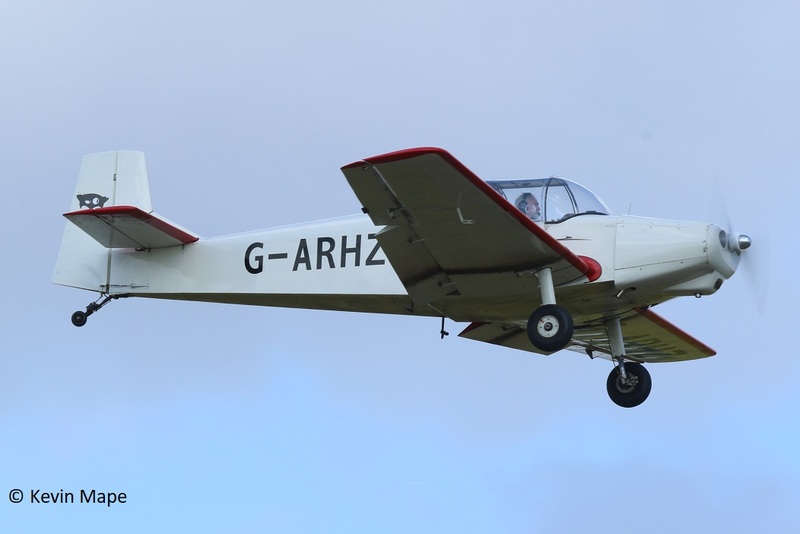 19/G-BIZY : Jodel D112 – Built 1963. 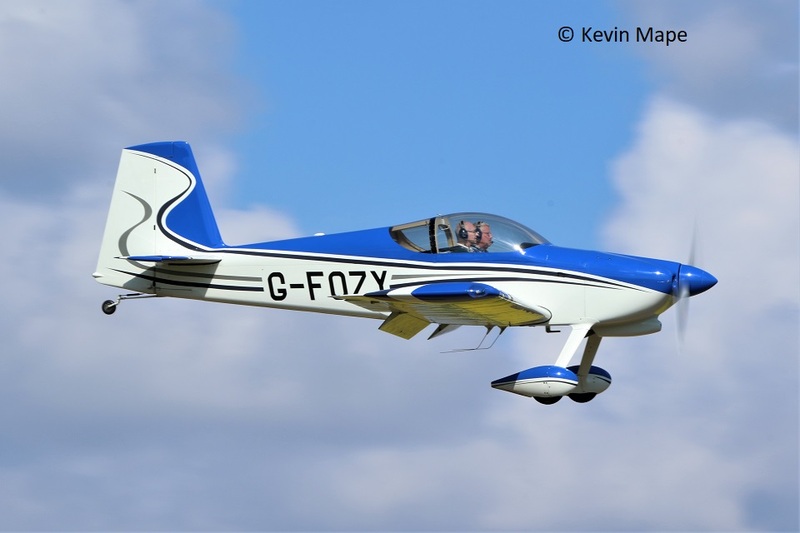 20/G-CCEM : EV-97A Eurostar- Built 2003. 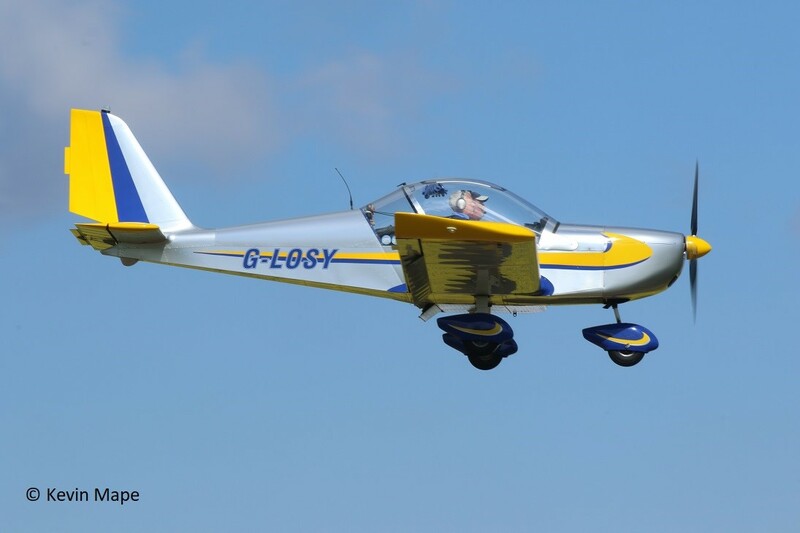 21/G-FOZY : Vans RV-7 – Built 2012. 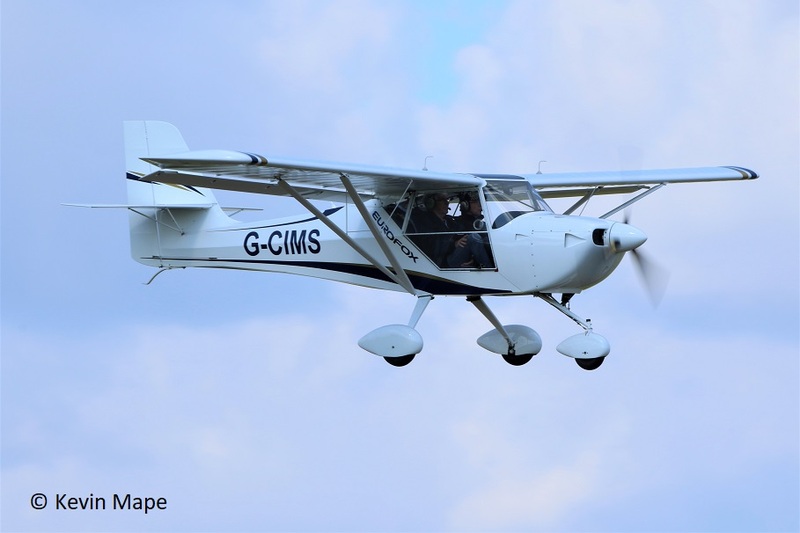 22/G-CIMS : Eurofox 912(1) – Built 2015. 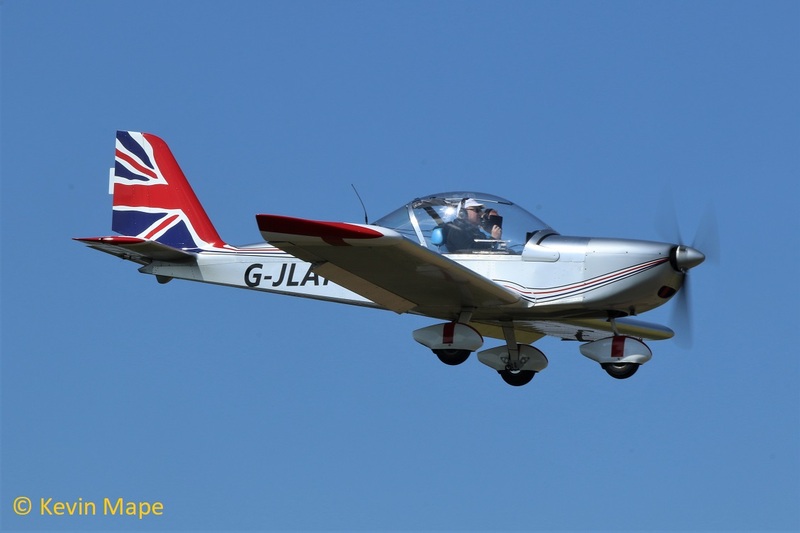 23/G-LOSY : EV-97 Eurostar – Built 2004. 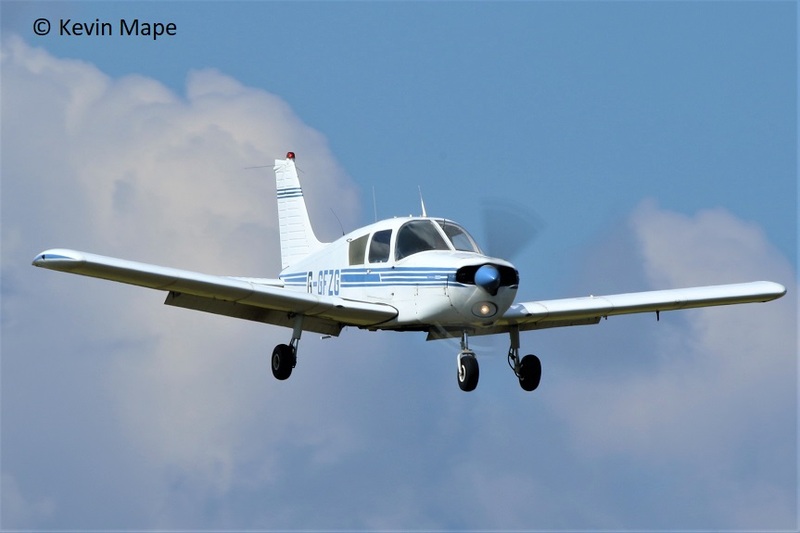 24/G-GFZG : Piper Pa-28 -140 Cherokee – Built 1973. 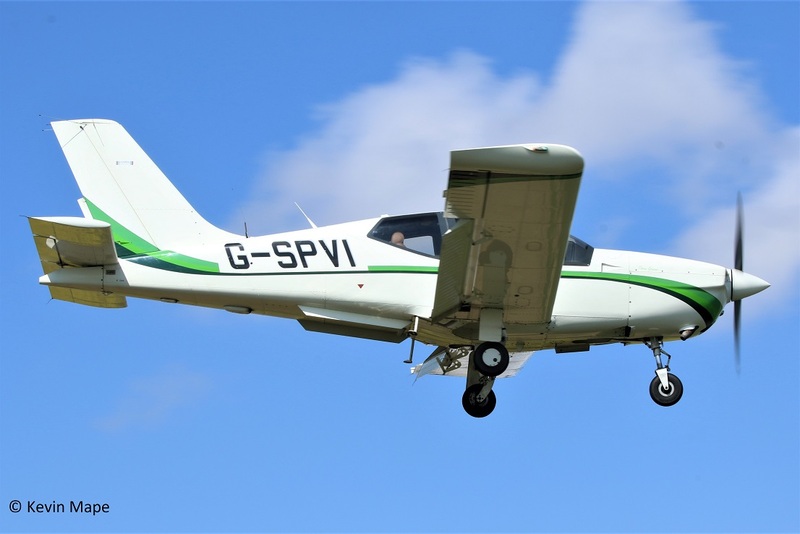 25/G-CBEI : Piper Pa-22 – 108 Colt – Built 1961. 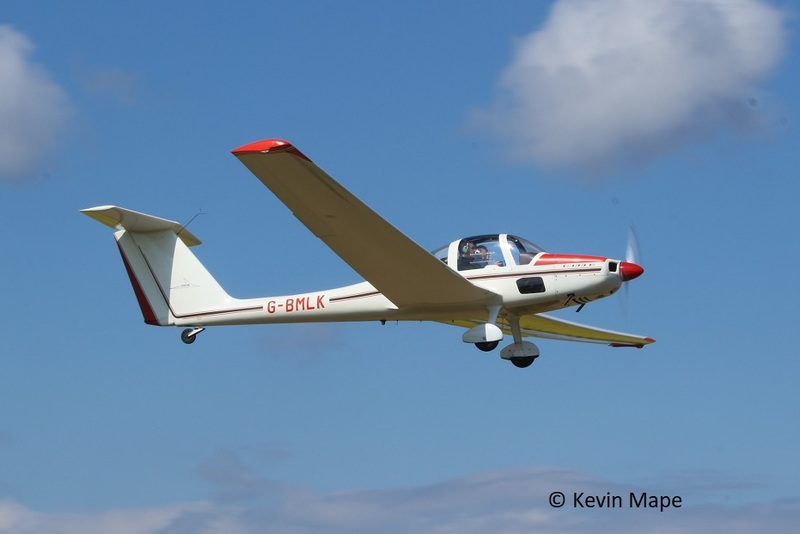 26/G-BYCS : Jodel DR1051 – Built 1961. 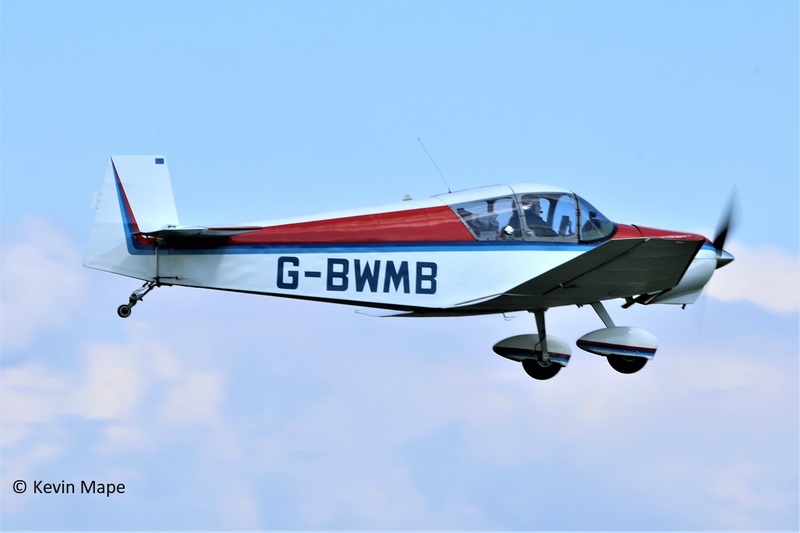 27/ G-BWMB : Jodel D119 – Built 1956. 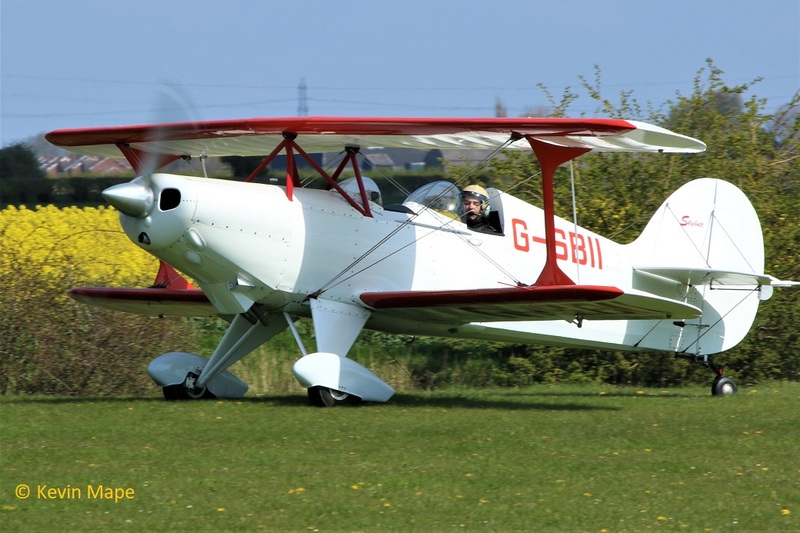 28/ G-BEAH : Auster 5J2 Arrow – Built 1946. 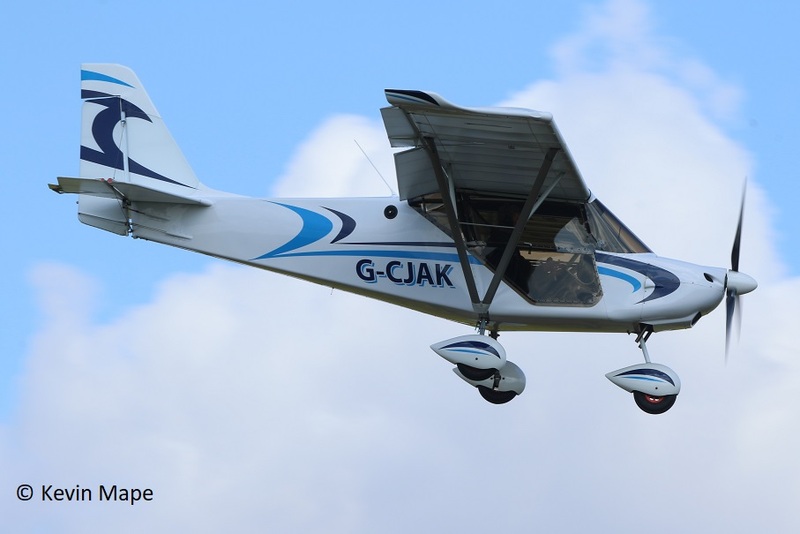 29/G-CCUL : Europa XS – Built 2004. 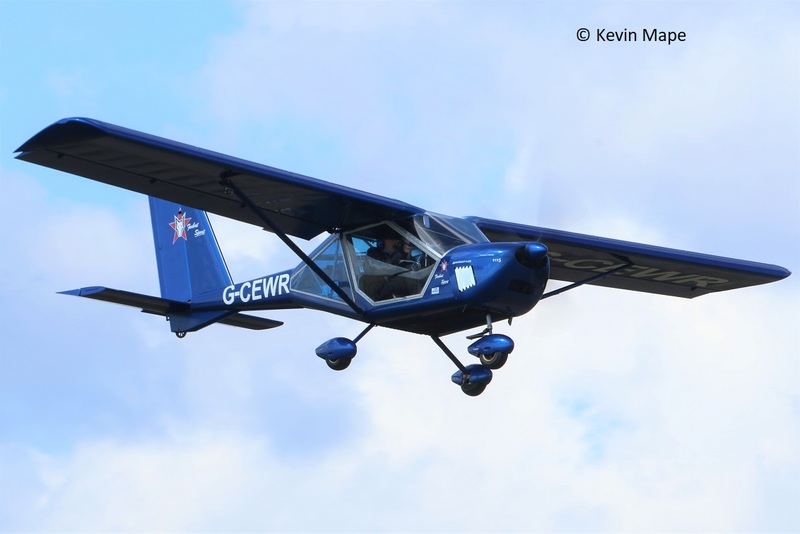 31/G-CIRV : Vans RV-7 – Built 2017. 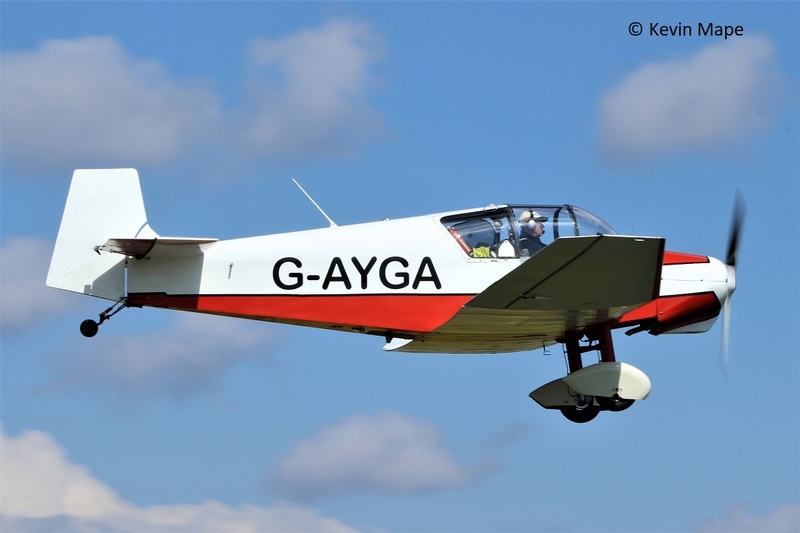 32/G-AYGA : Jodel D117 – Built 1956. 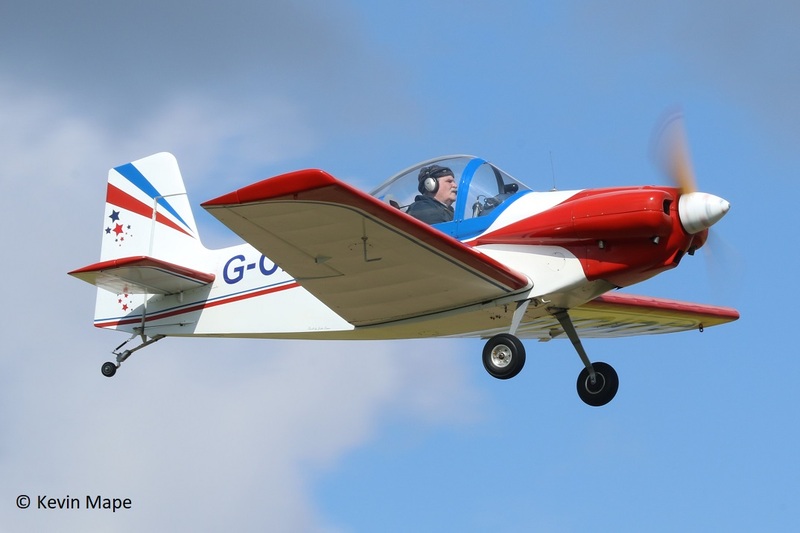 34/G-AYDZ : Jodel DR200 (Modified) – Built 1965. 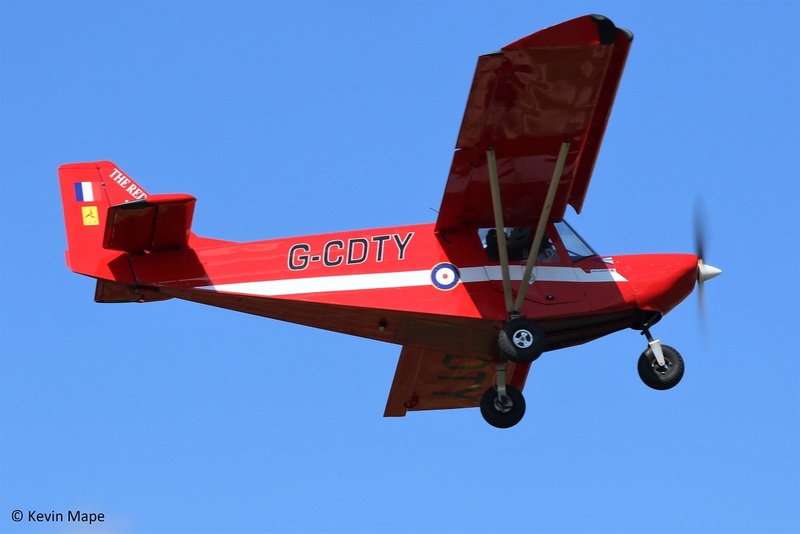 35/G-CEWR : Aeroprakt A22-L Foxbat – Built 2008. 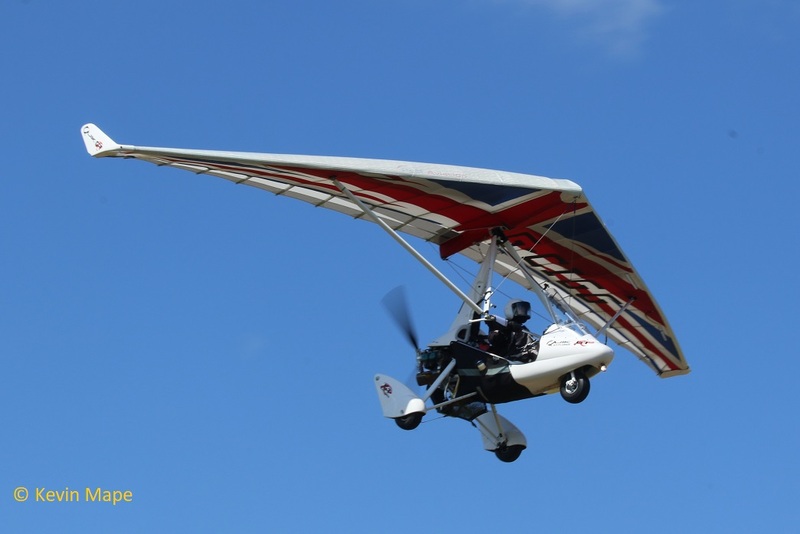 36/G-STEL : Bristell NG5 Speed Wing – Built 2013. 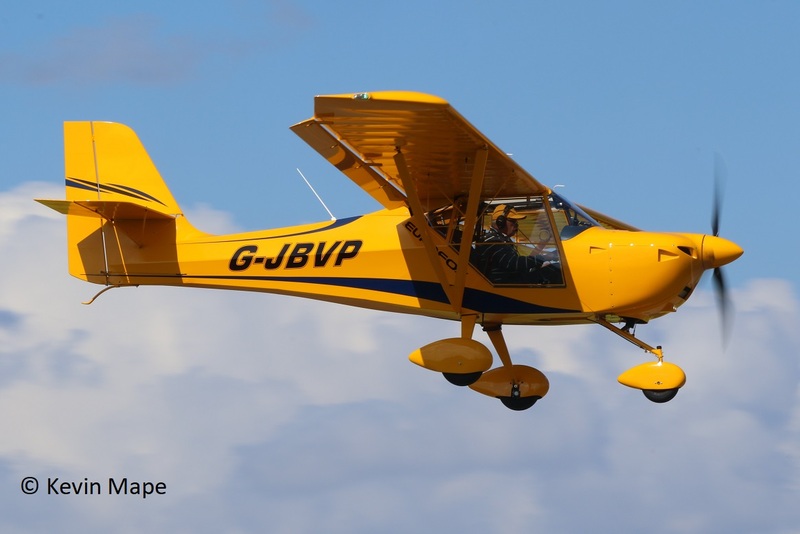 37/G-CEOP : Aeropakt A22-L Foxbat – Built 2007. 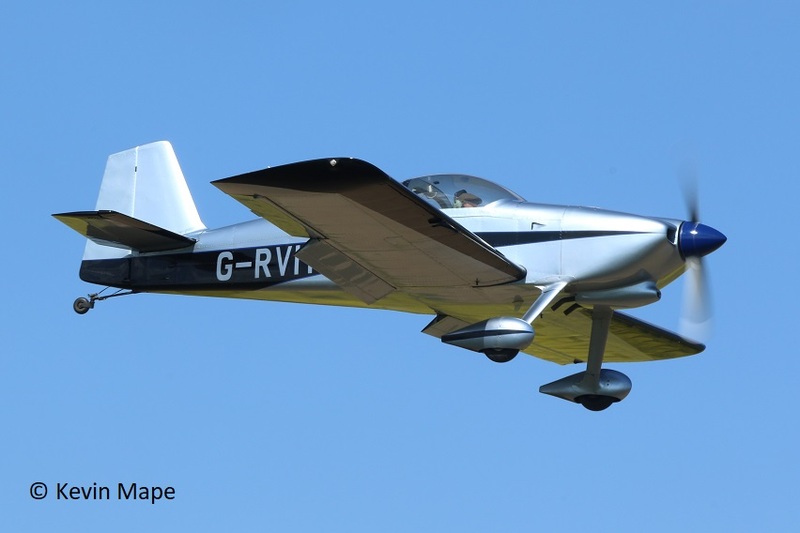 38/G-GORV : Vans RV-8 – Built 2013. 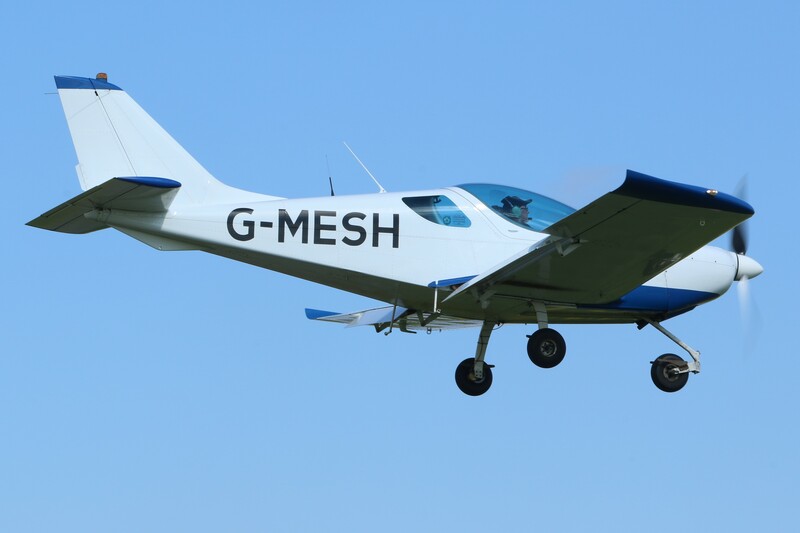 39/G-MESH : CZAW SportcRuiser – Built 2009. 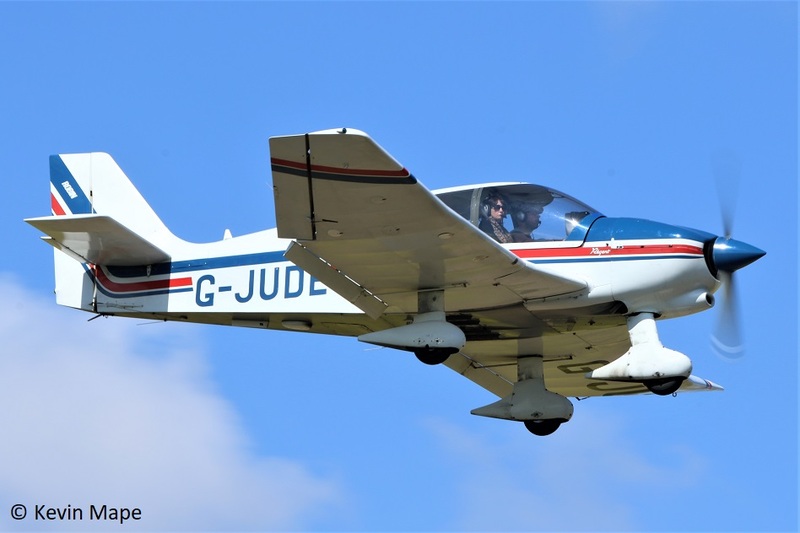 40/G-AYHX : Jodel D117 – Built 1957. 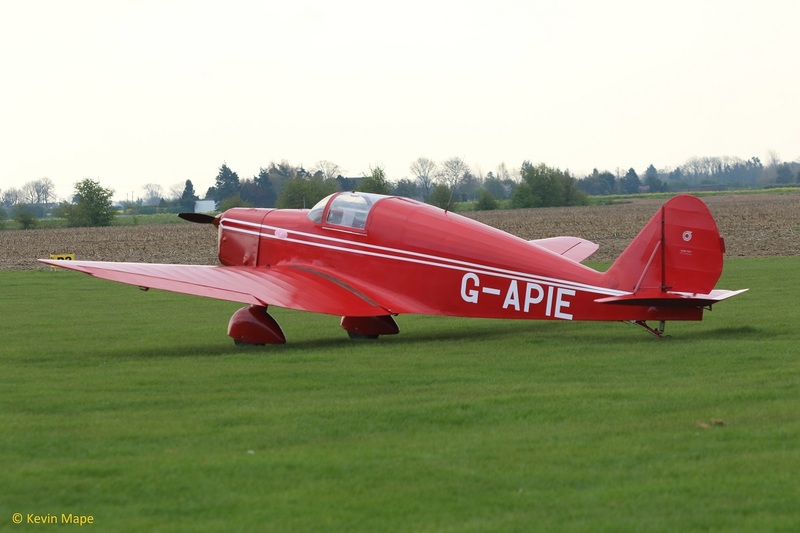 41/G-ADMT : DH87B Hornet Moth – Built 1936. 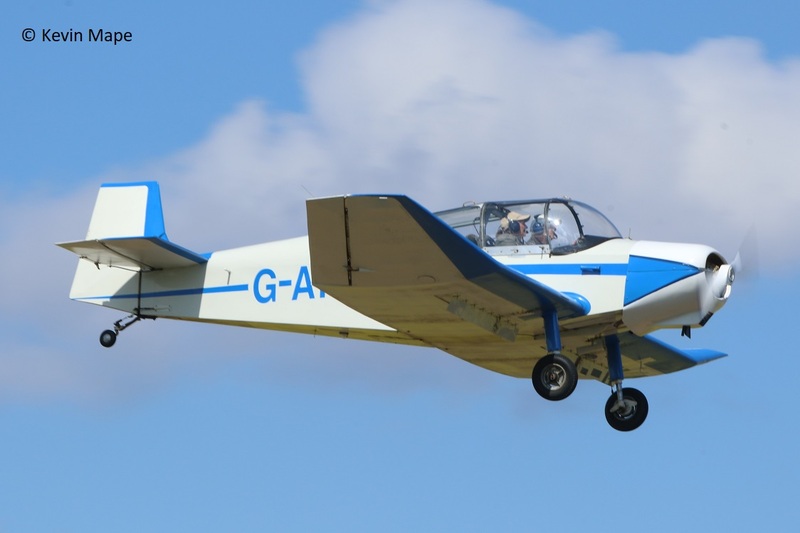 42/G-AXNS : Beagle Pup 2 – Built 1969. 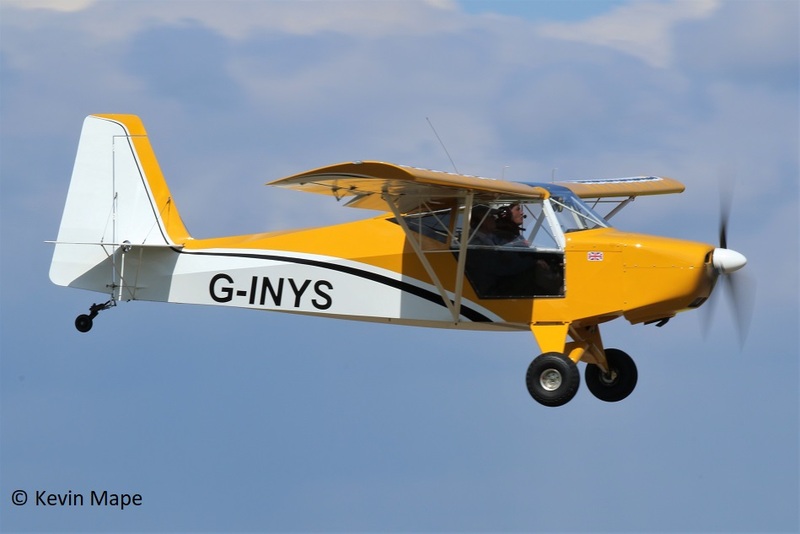 43/G-INYS : Sherwood Scout- Built 2018. 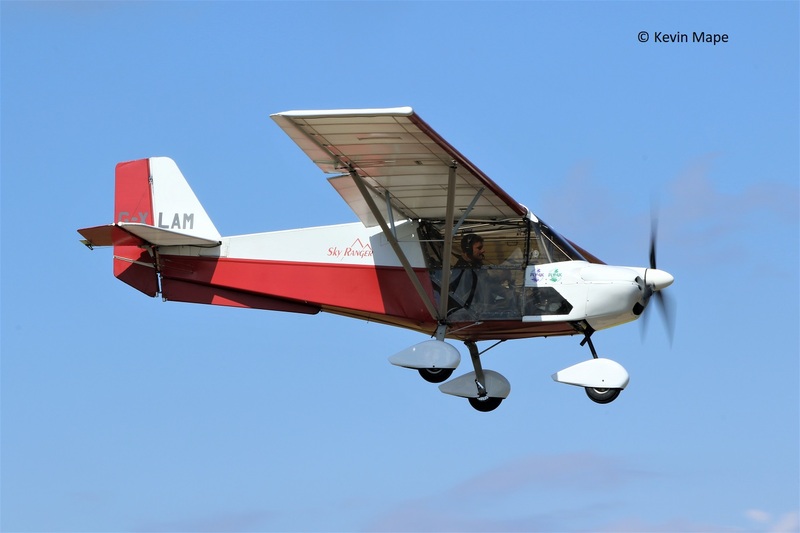 44/G-RVIT : Vans RV-6 – Built 1997. 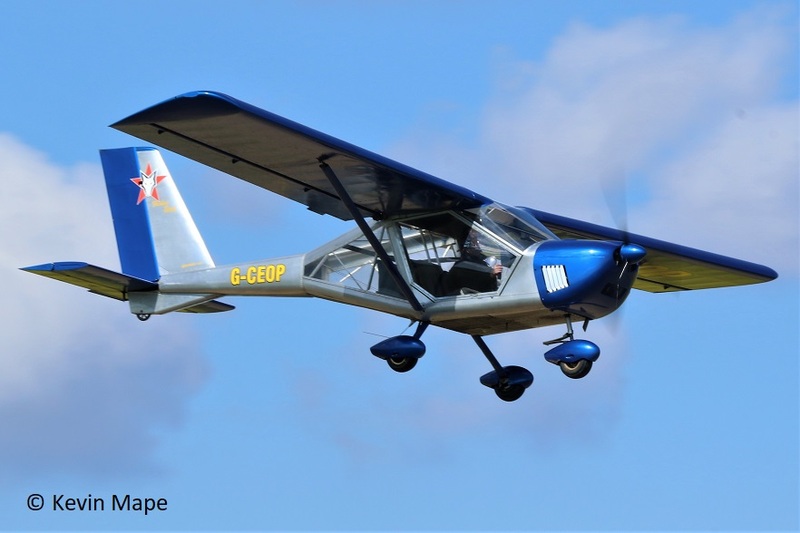 45/G-CDTV : Tecnam P2002-EA Sierra – Built 2007. 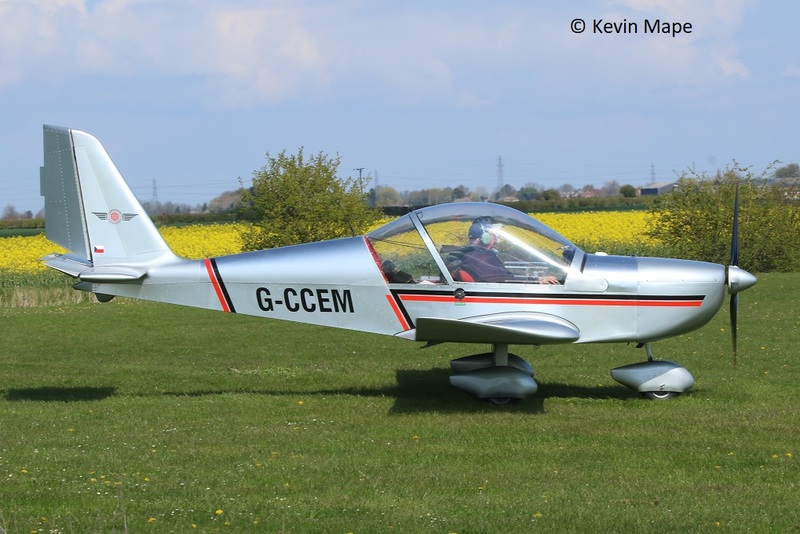 46/G-JUDE : CEA DR400/180 Regent – Built 1988. 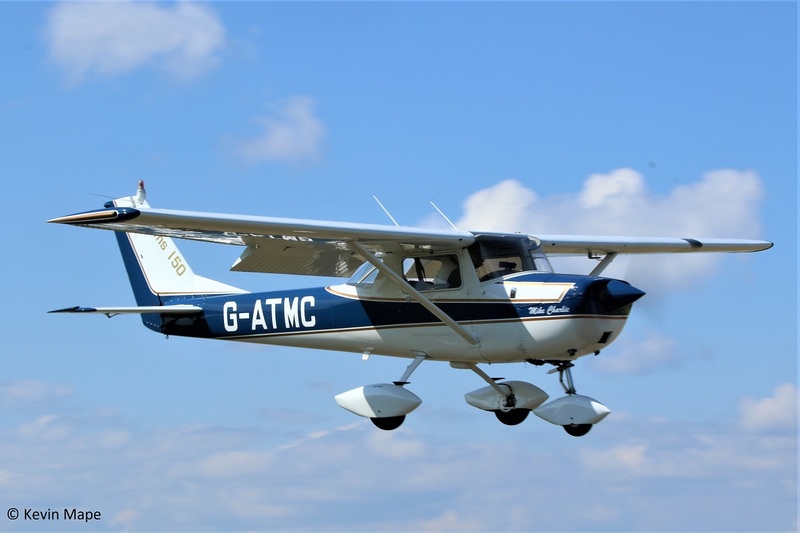 47/G-AJJS : Cessna 120 – Built 1947. 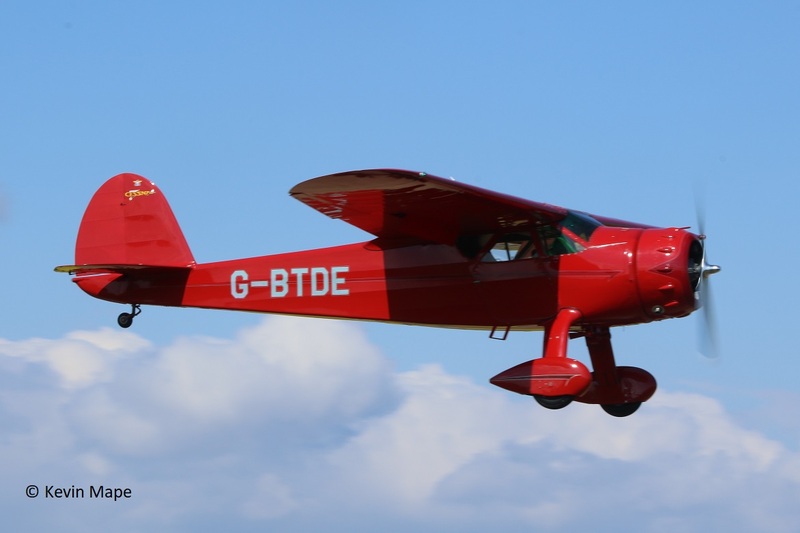 48/G-AJKB : Luscombe 8E Silvaire Deluxe – Built 1946. 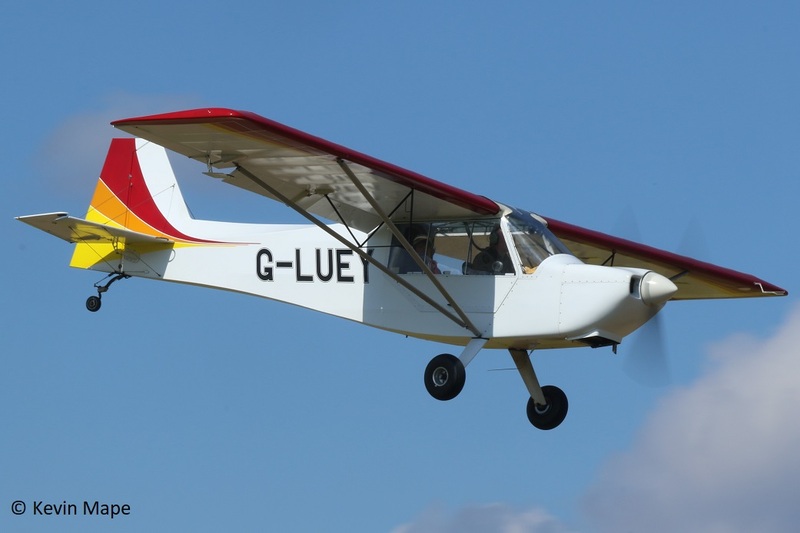 49/G-LEUY : Rans S7S Courier – Built 2013. 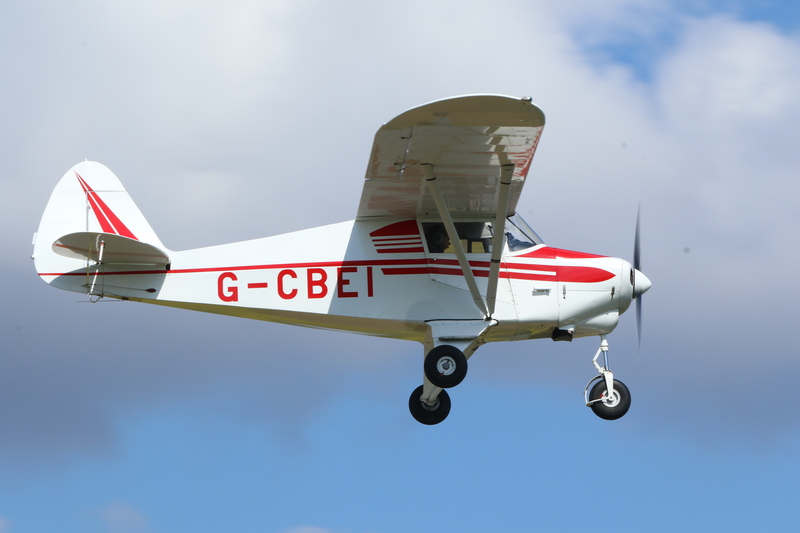 51/G-BTDE : Cessna 195 – Built 1940. 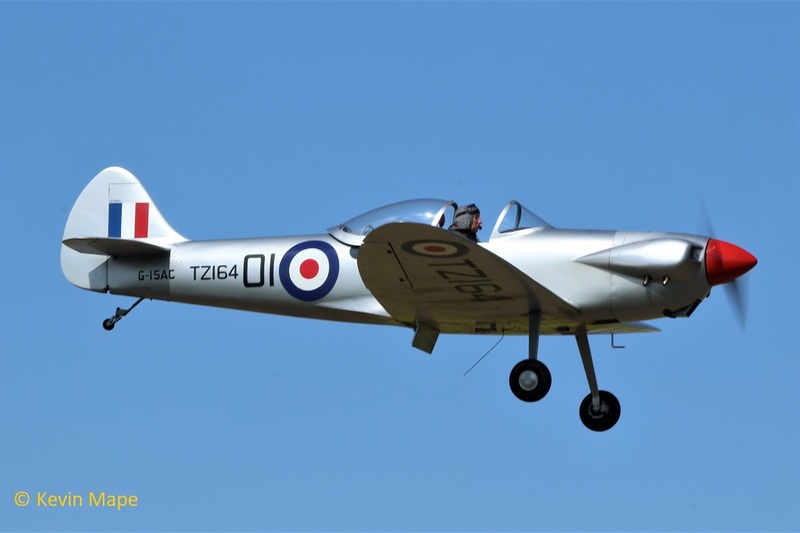 52/G-CIGG : Quik GTR – Built 2014. 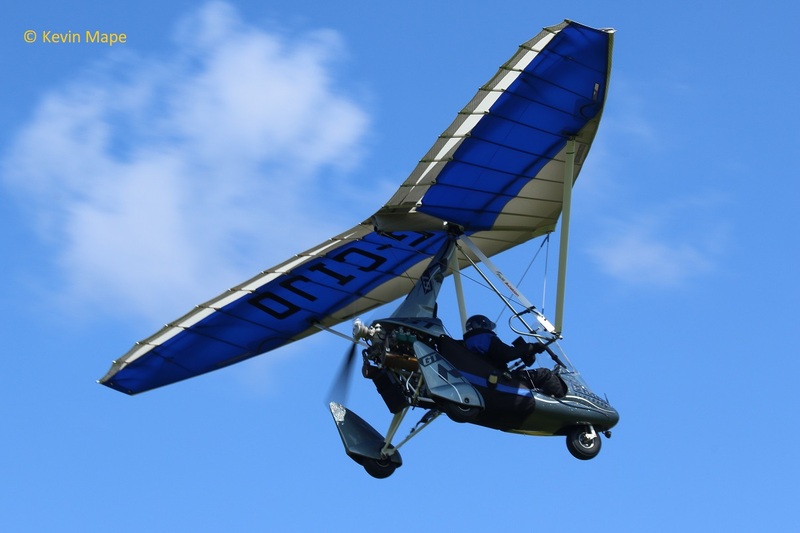 53/G-CIJO : Quik GTR – Built 2014. 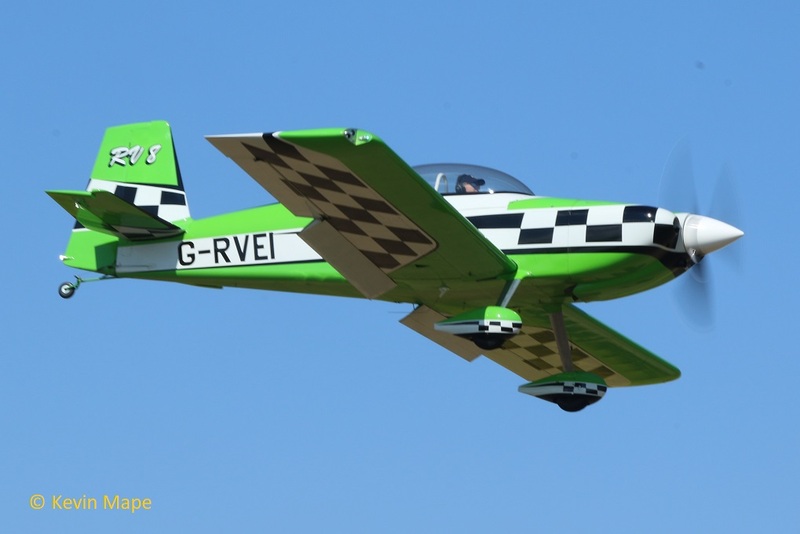 54/G-RVEI : Vans RV-8 -Built 2011. 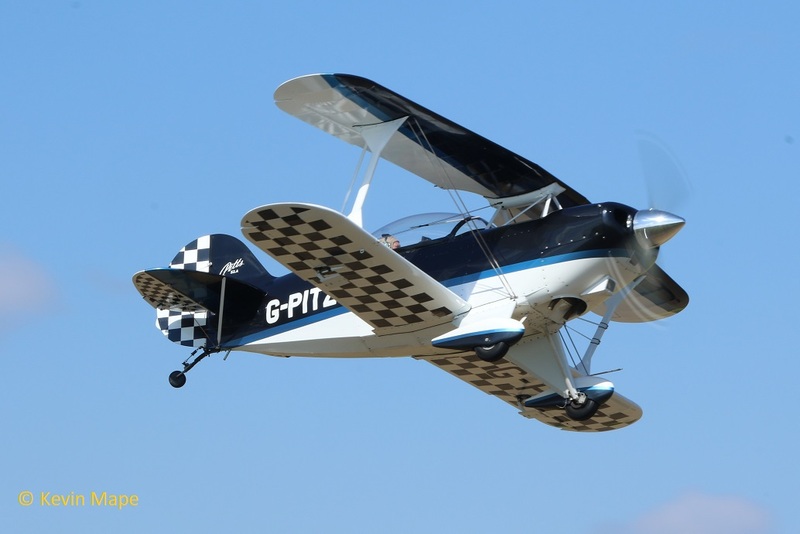 55/G-PITZ : Pitts S-2A Special – Built 1983. 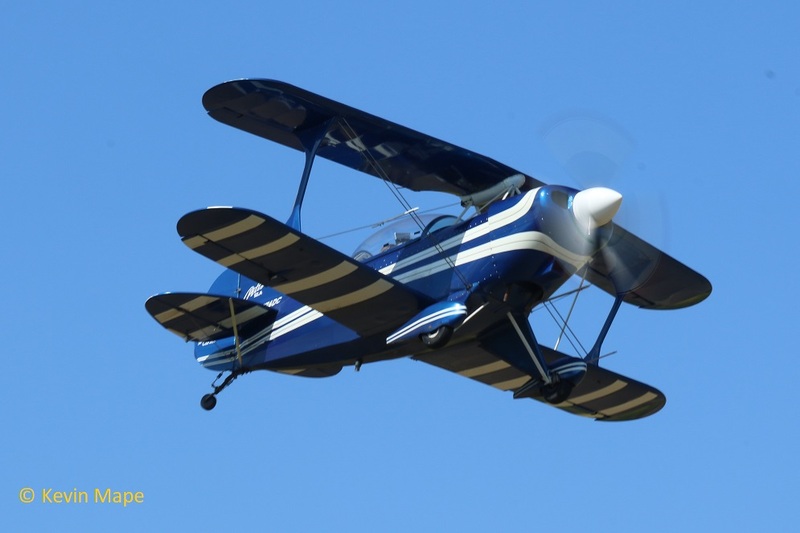 56/N74DC : Pitts S-2A Special – Built 1980. 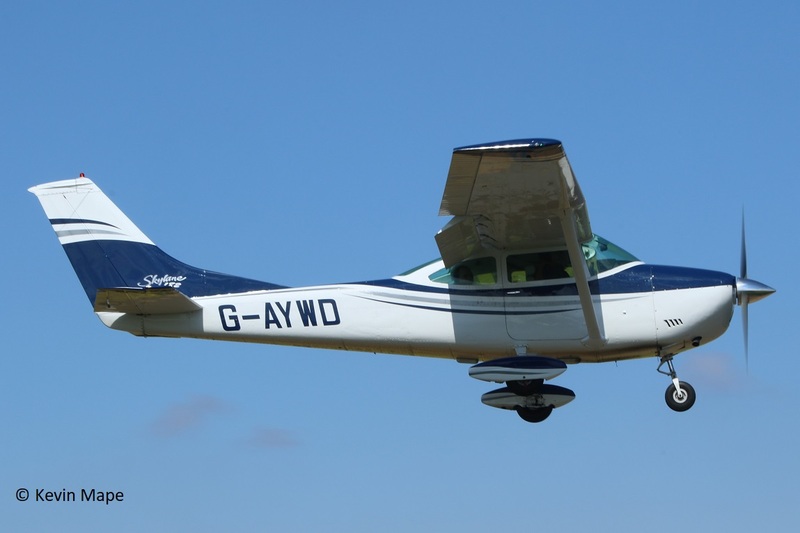 57/G-AYWD : Cessna 182N – Built 1971. 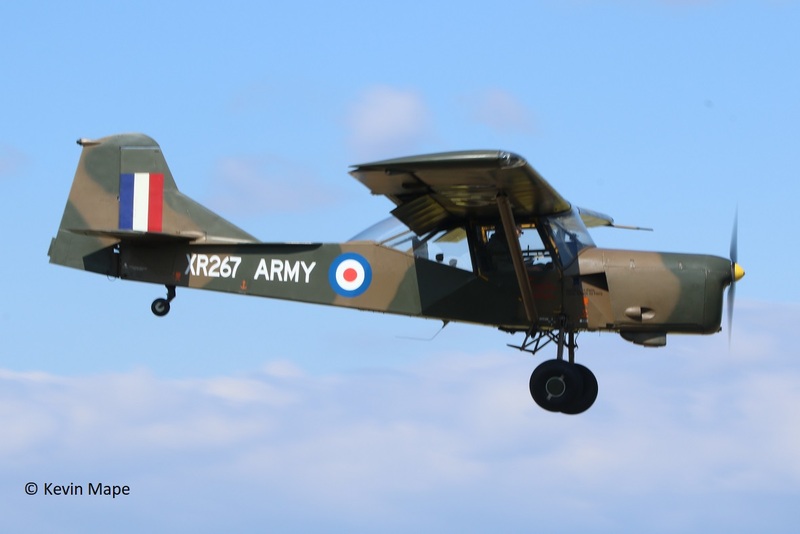 58/G-BJXR : Auster AOP9 – Built 1962 – Wears XR267 Army camo markings. 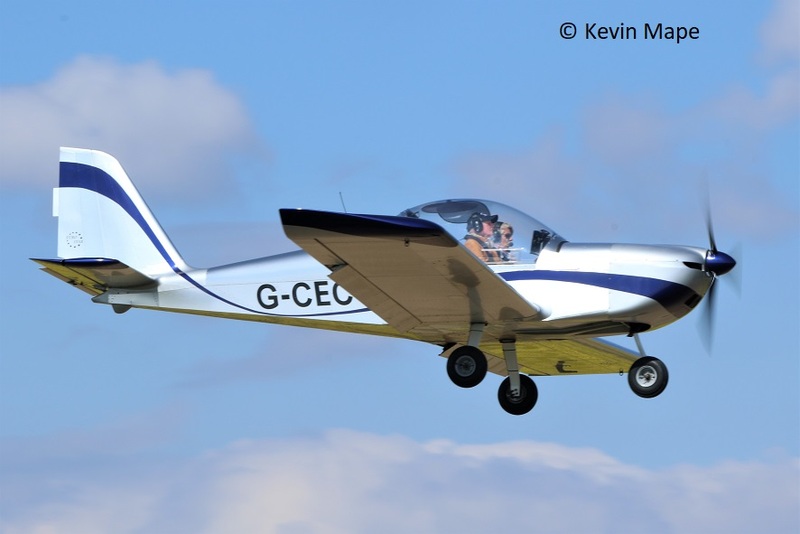 59/G-CECY : EV-97 Eurostar – Built 2006. 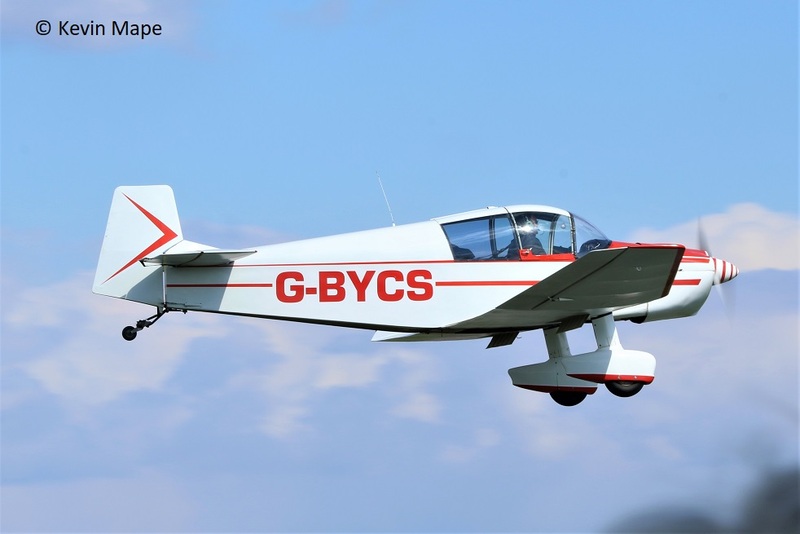 60/G-SJPI : Dynamic WT9 UK – Built 2008. 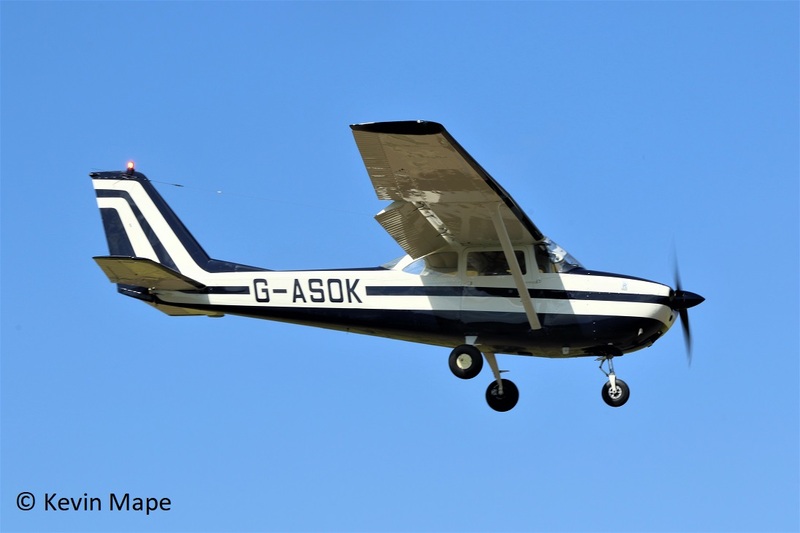 61/G-XLAM : Skyranger 912S(1) – Built 2005. 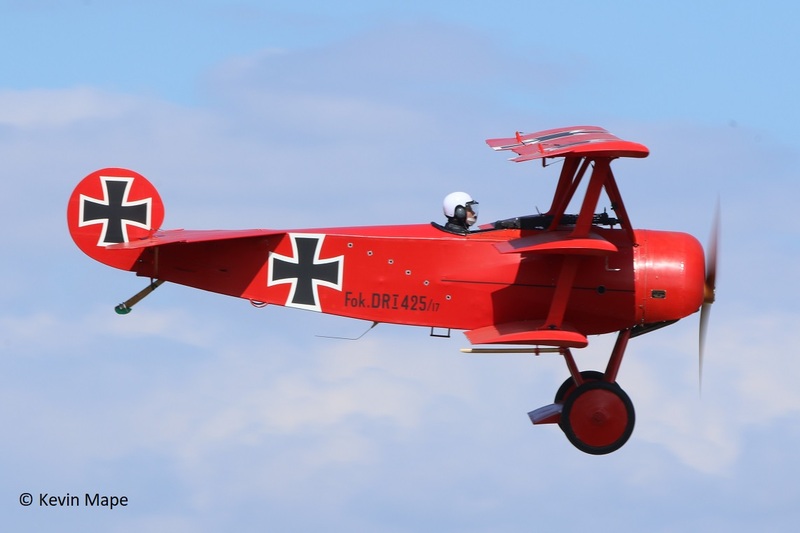 62/G-DREI : Fokker DR1 Triplane replica – Built 2017 – wears 425/17 Red Baron markings. 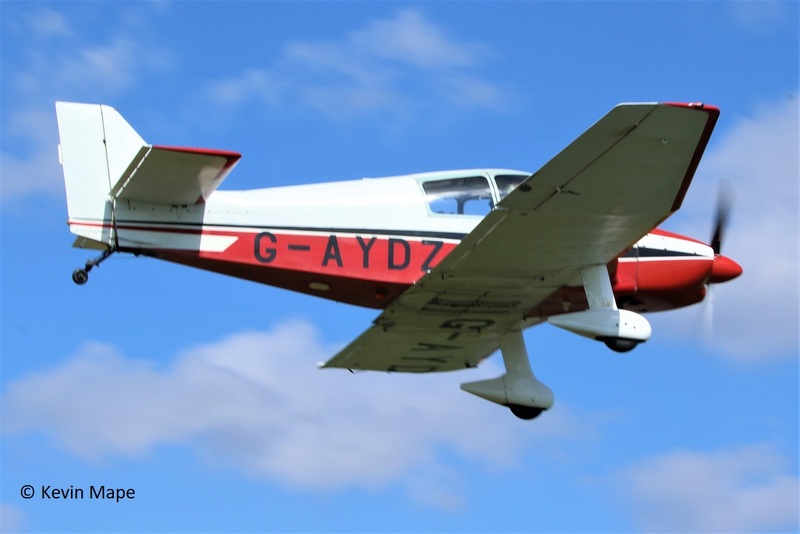 63/G-MICK : Reims Cessna F172N Skyhawk- Built 1977. 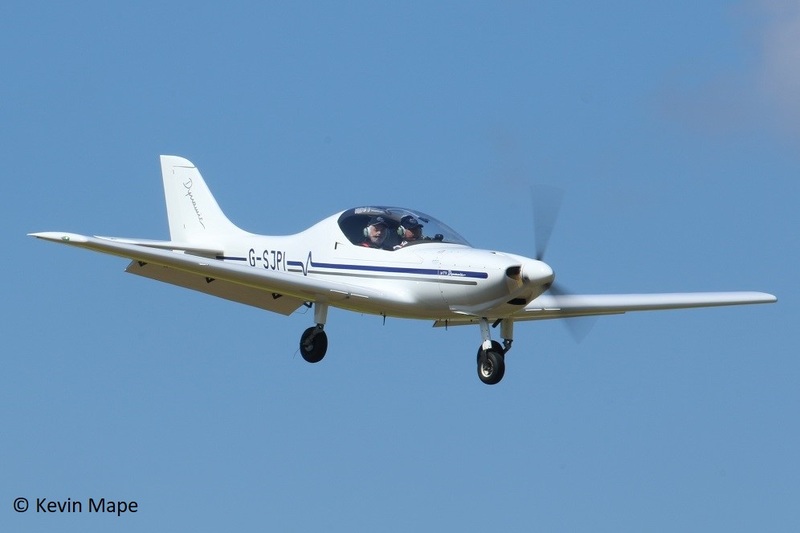 64/G-BMLK : Grob G109B – Built 1986. 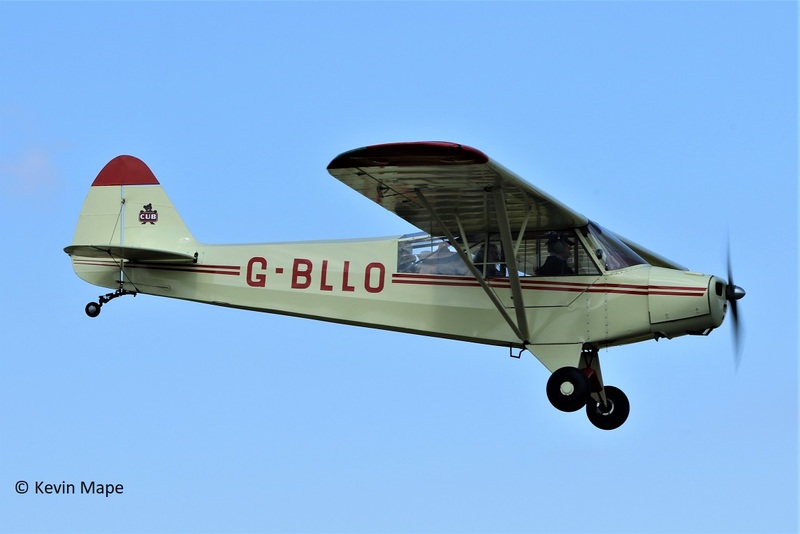 65/G-BLLO : Piper Pa- L18C Super Cub – Built 1953. 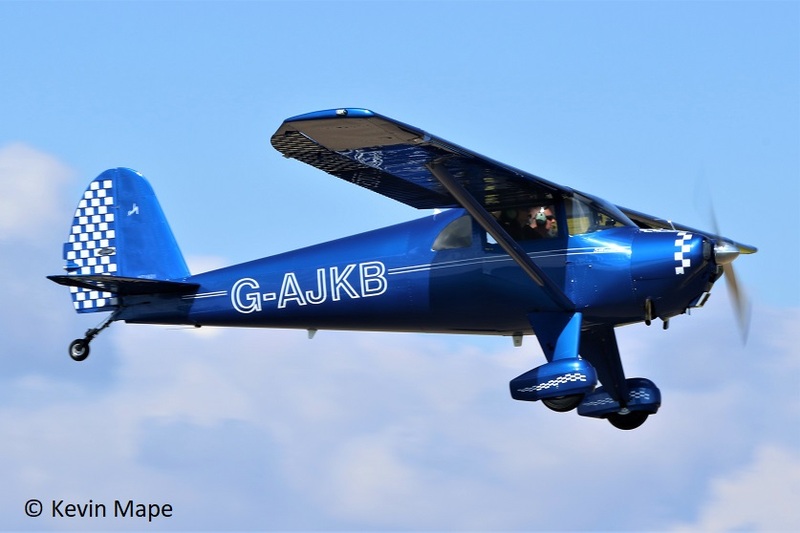 66/G-JTPC : Aeromot AMT-200 Super Ximango – Built 1996. 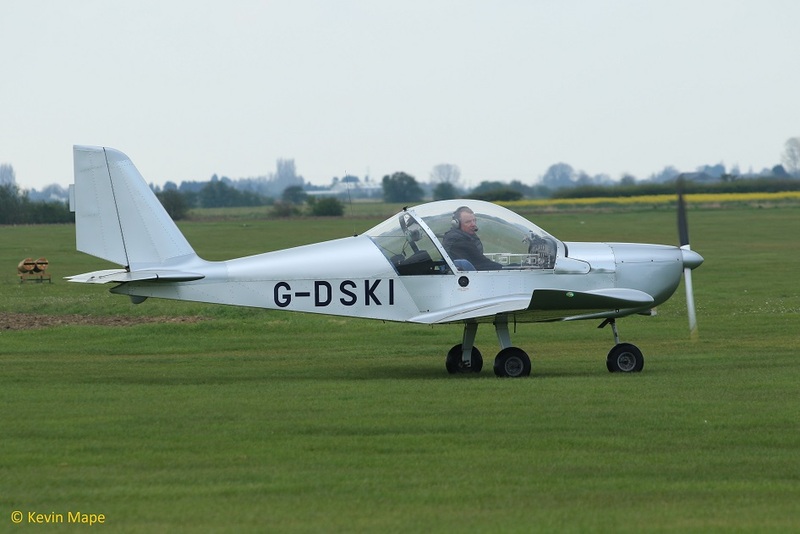 68/G-KOKL : HoffmannH 36 Dimona – Built 1989. 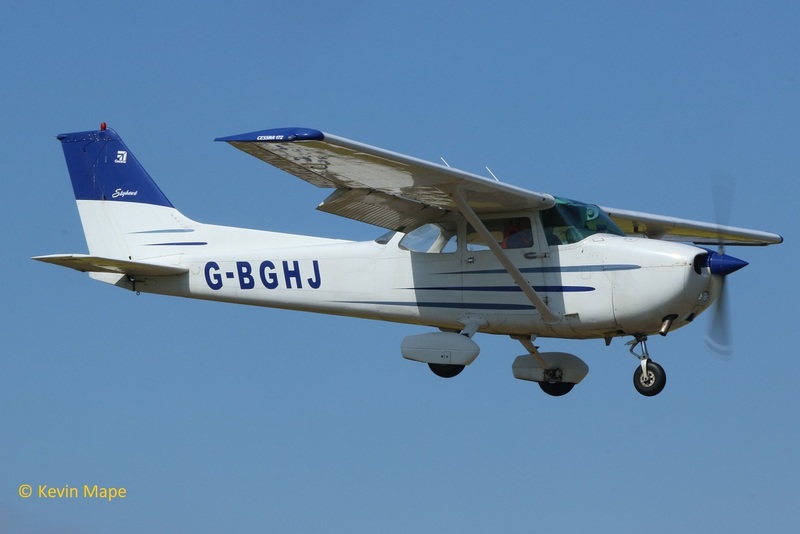 69/G-BGHJ : Reims Cessna F172N – Built 1979. 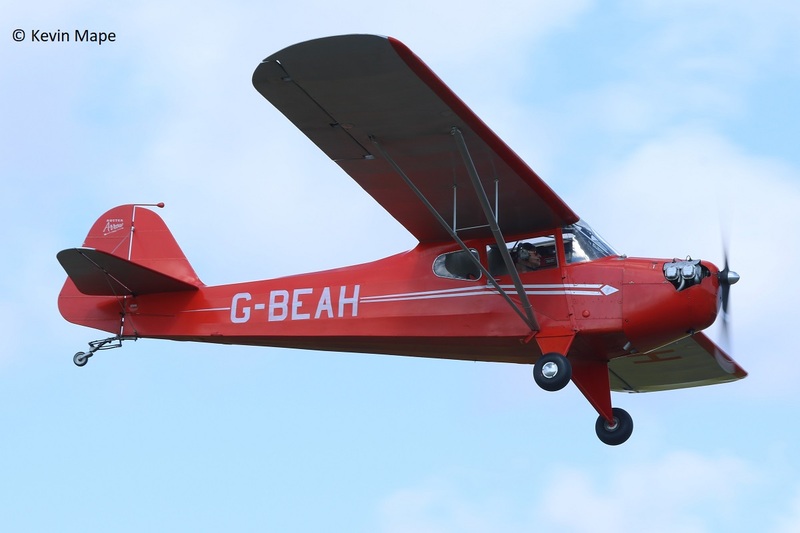 70/G-BBUU : Piper J3C-65 Cub – Built 1943. 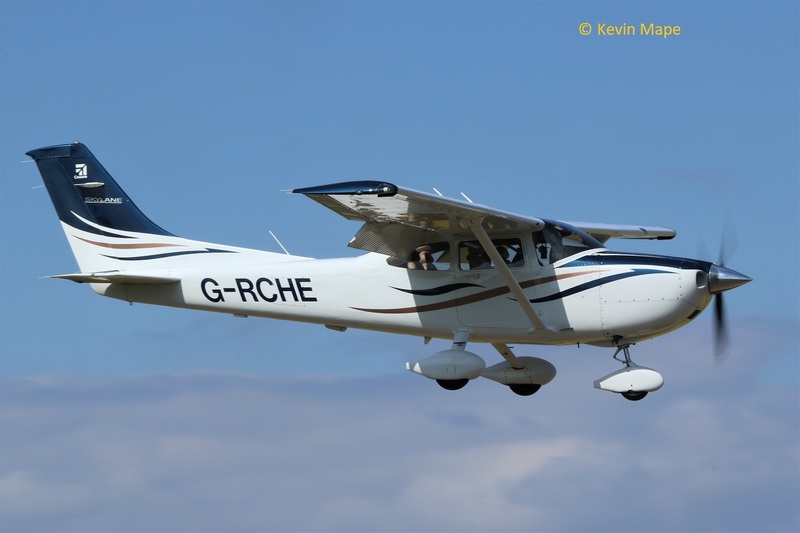 71/G-RCHE : Cessna 182T Skylane – Built 2008. 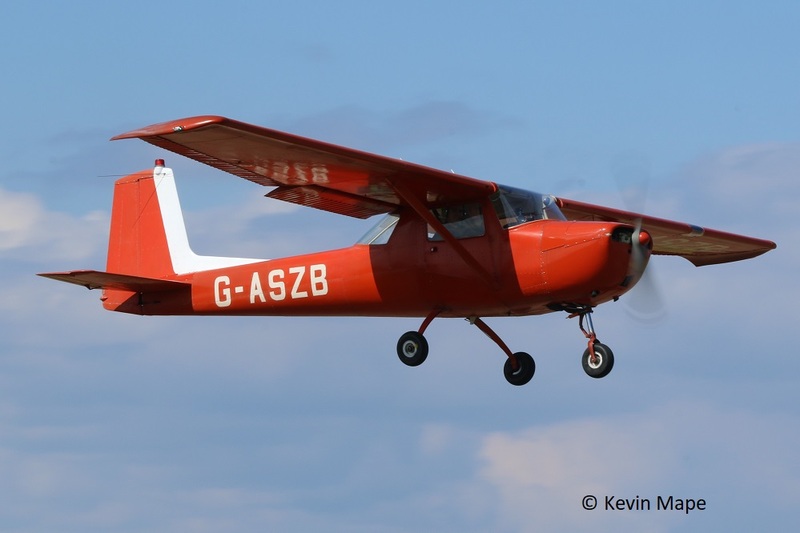 72/G-ASZB : Cessna 150E – Built 1965. 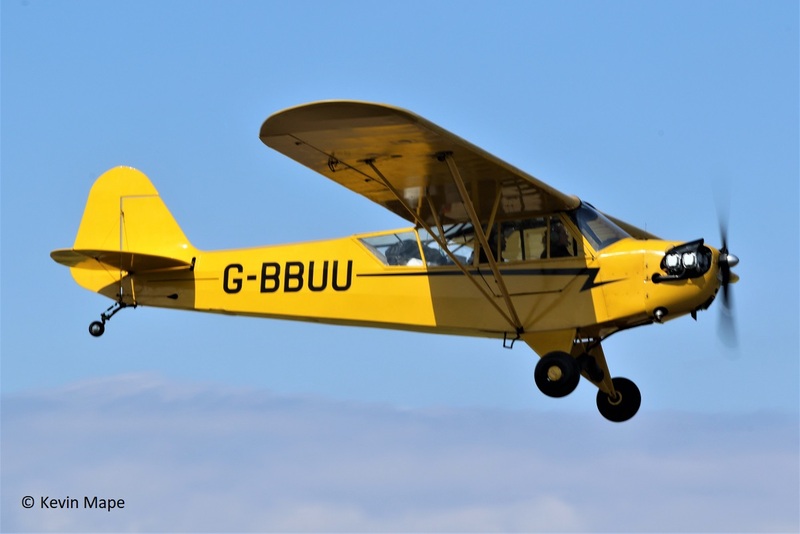 73/G-AVCS : Aeronca 7AC Champion – Built 1946. 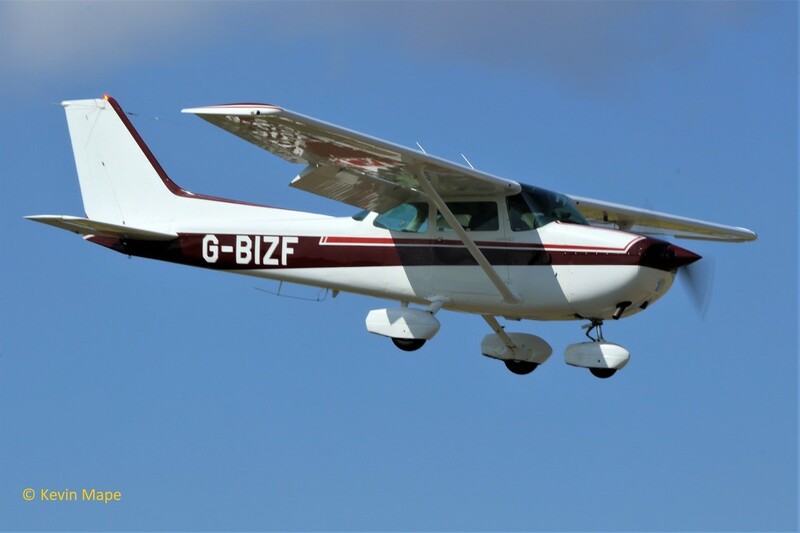 74/G-BIZF : Reims Cessna F172P – Built 1981. 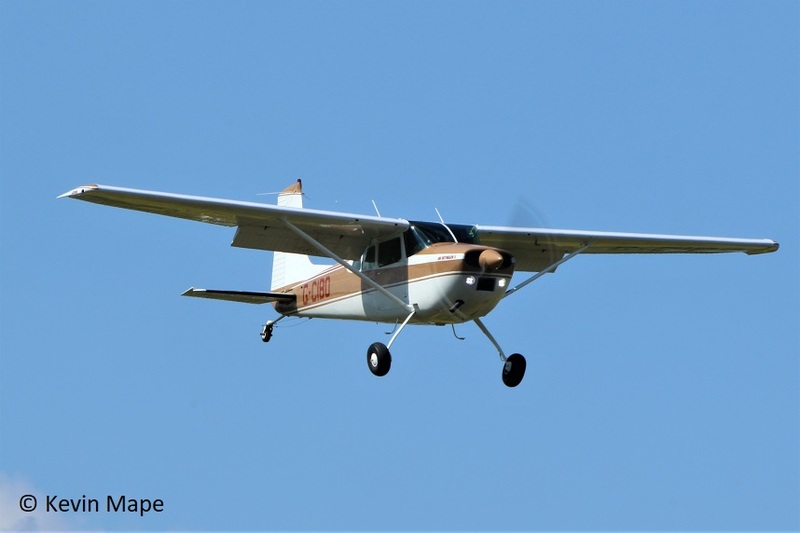 75/G-ASOK : Cessna 172E – Built 1964. 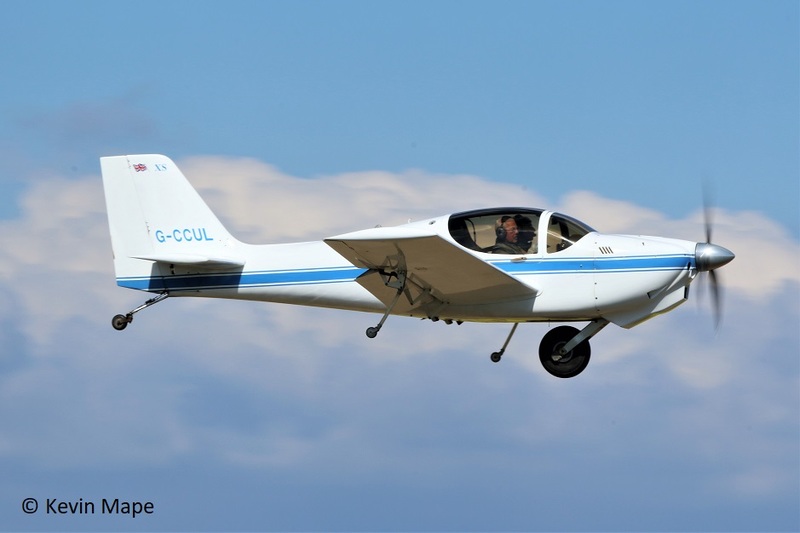 76/G-JLAT : EV-97 Eurostar – Built 2003. 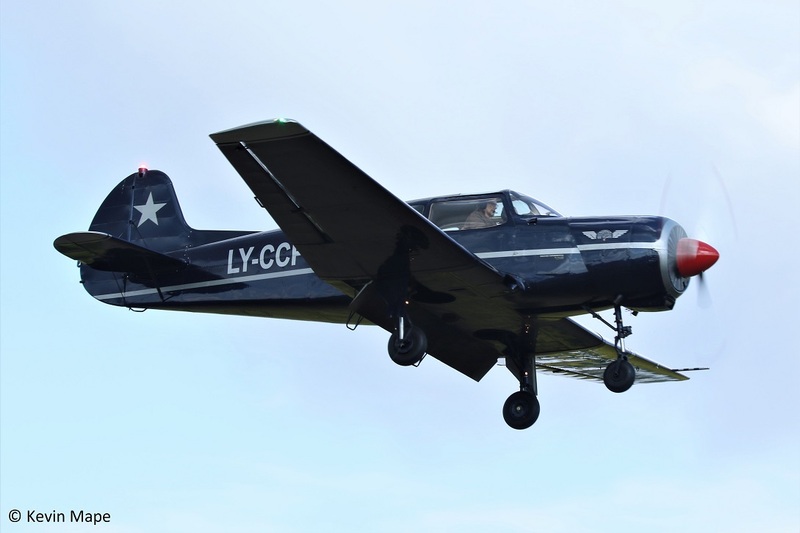 77/G-CCCJ : NicoljierHN 700 Menestrel II – Built 2003. 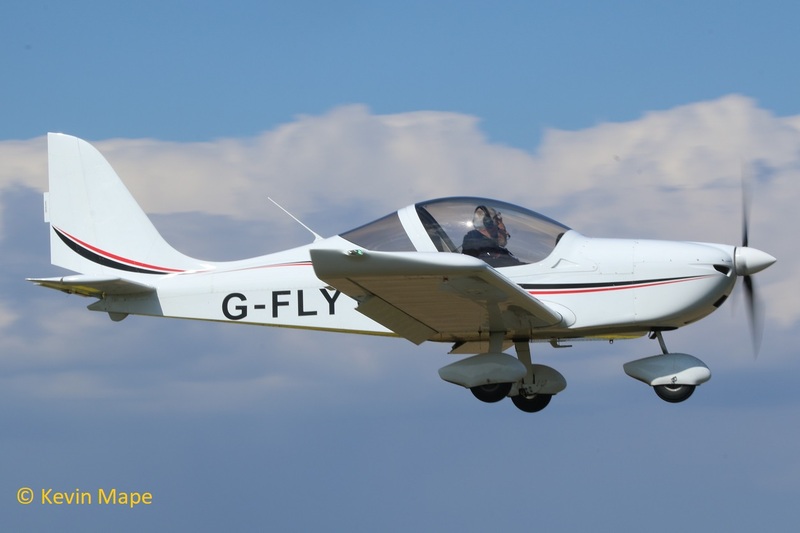 78/G-FLYO : EV-97 Eurostar SL – Built 2014. 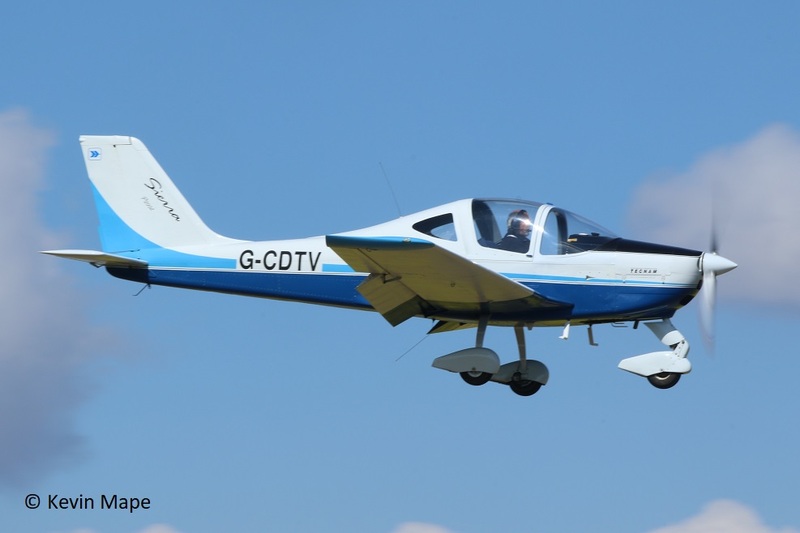 79/G-JBVP : Eurofox 3K – Built 2017. 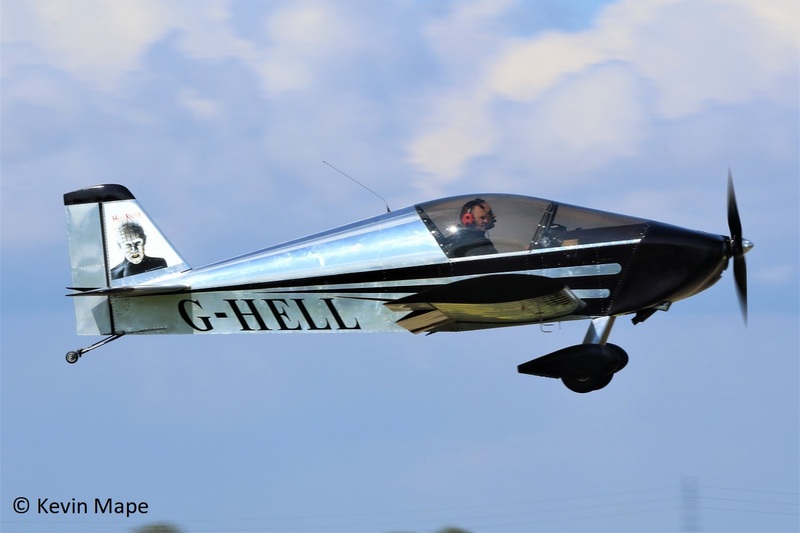 80/G-HELL : Sonex – Built 2015 . 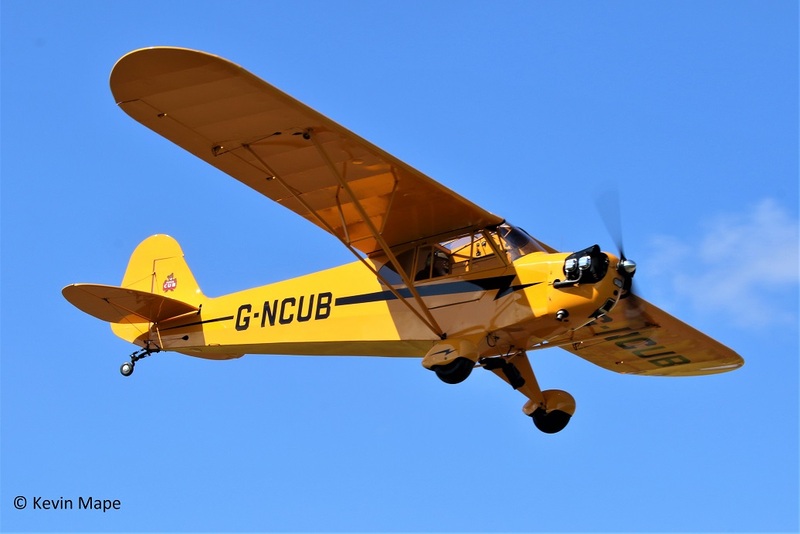 81/G-NCUB : Piper J3C-65 Cub – Built 1944. 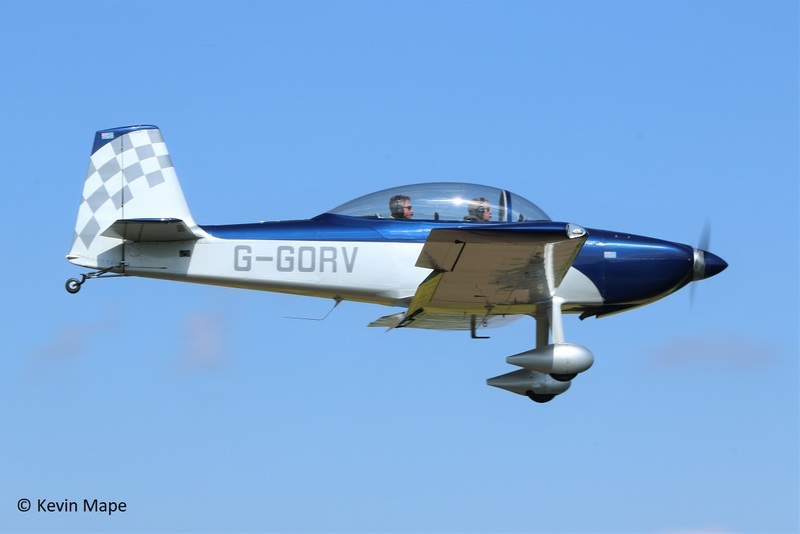 82/G-SPVI : Socata TB20 Trinidad GT – Built 2002. 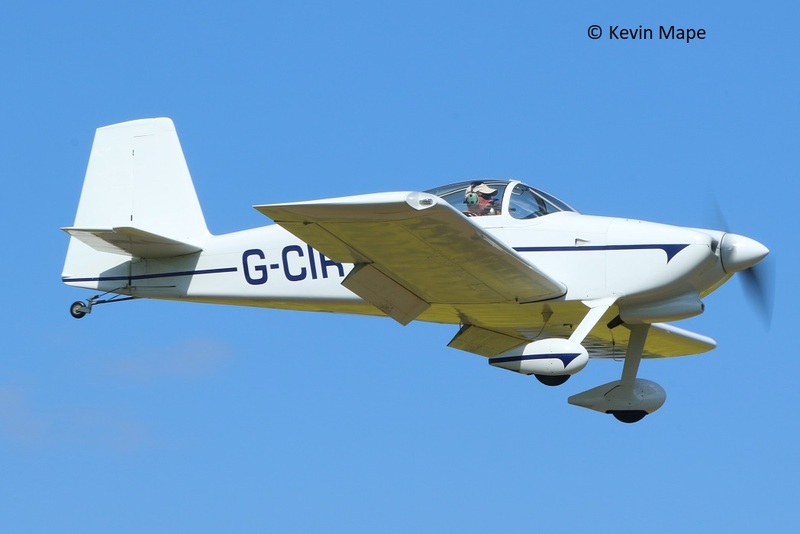 83/G-ATMB : Reims Cessna F152G – Built 1966. 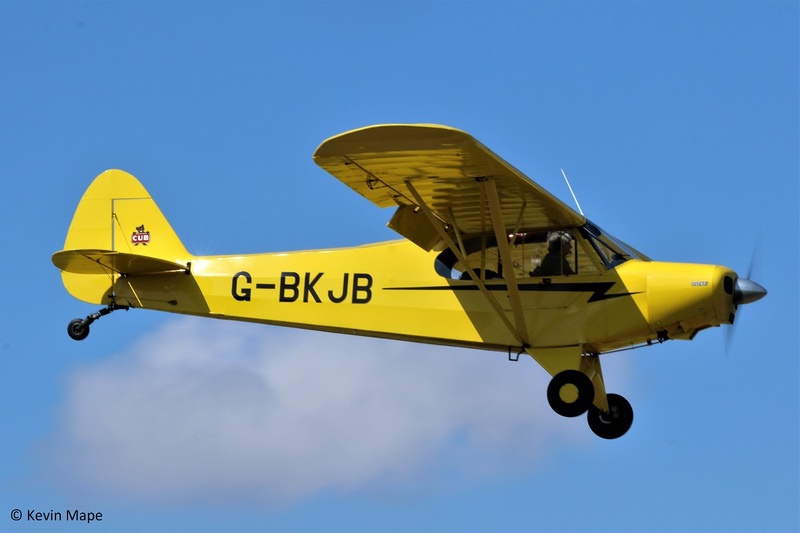 84/G-BKJB : Piper Pa-18-135 Super Cub – Built 1950. 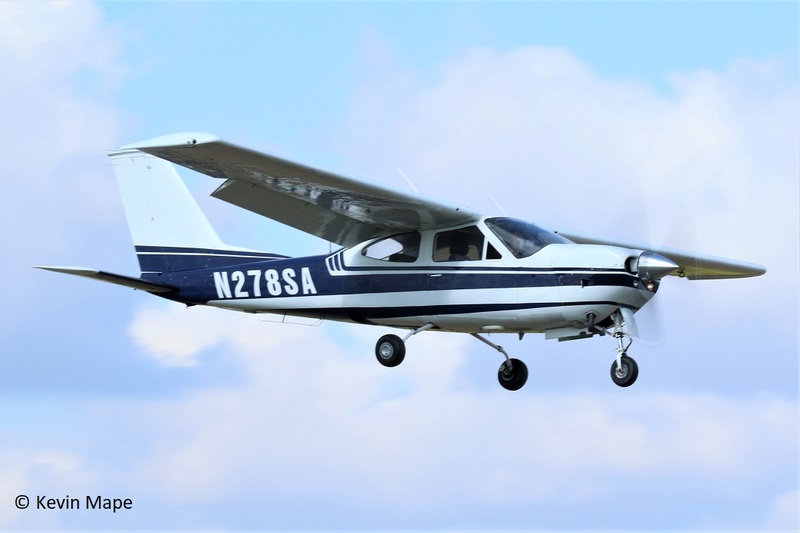 85/G-CDTY : Savannah Jaribu(5) – Built 2006. 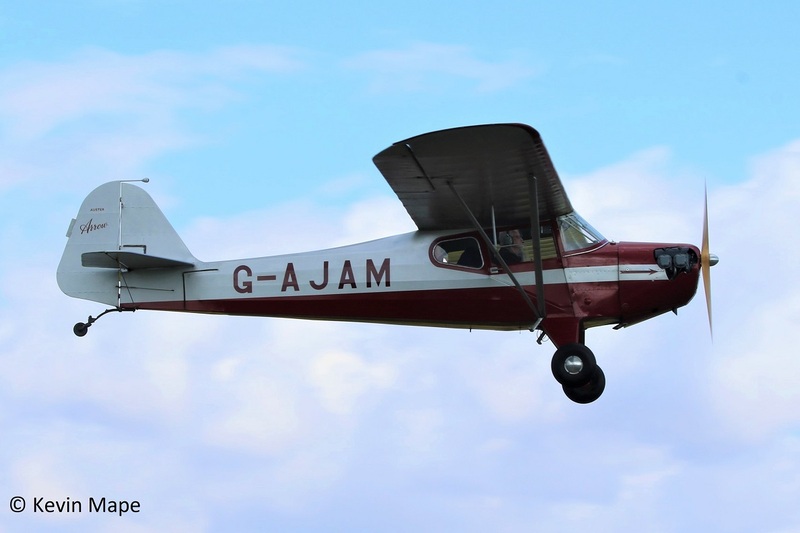 86/A Gazelle AH1 G-CDNO also arrived for the fly in.